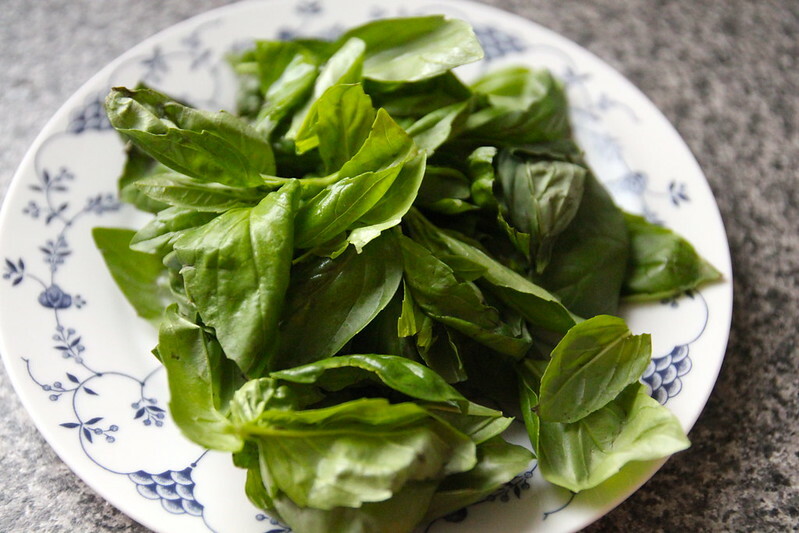 Is there anything better than fresh homemade pesto? The jarred stuff can be useful in a pinch, but in my opinion, it pales in comparison with the real stuff. 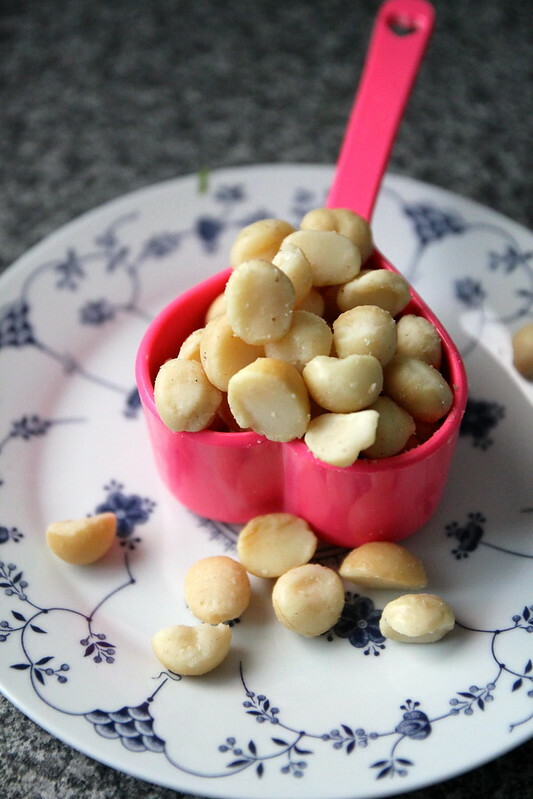 I had a good amount of macadamias stashed away at home (thanks to Australian Macadamias) and thought I’d try substituting macadamias for the usual pine nuts — I was really happy with the results! 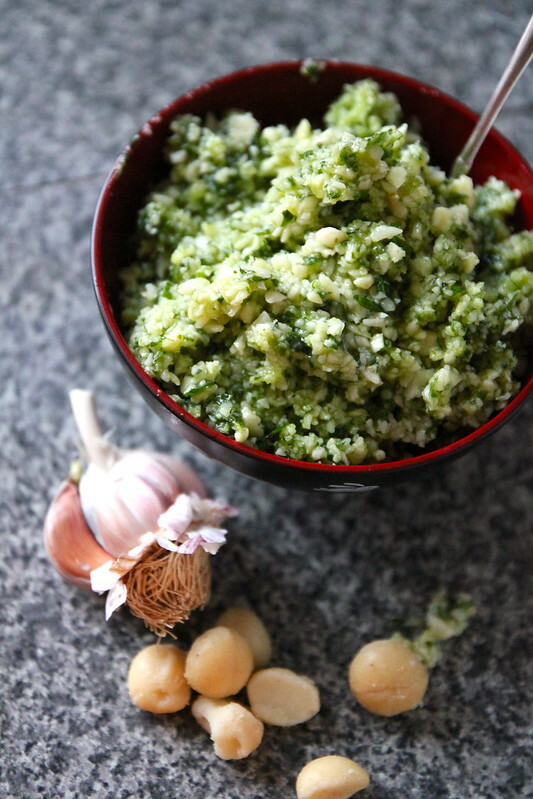 I really enjoyed the extra crrunch and texture the macadamias gave to this recipe, which was quite a bit chunkier than your every-day pesto sauce and a nice change. Place all ingredients into food processor bowl and pulse until chunky. Serve. 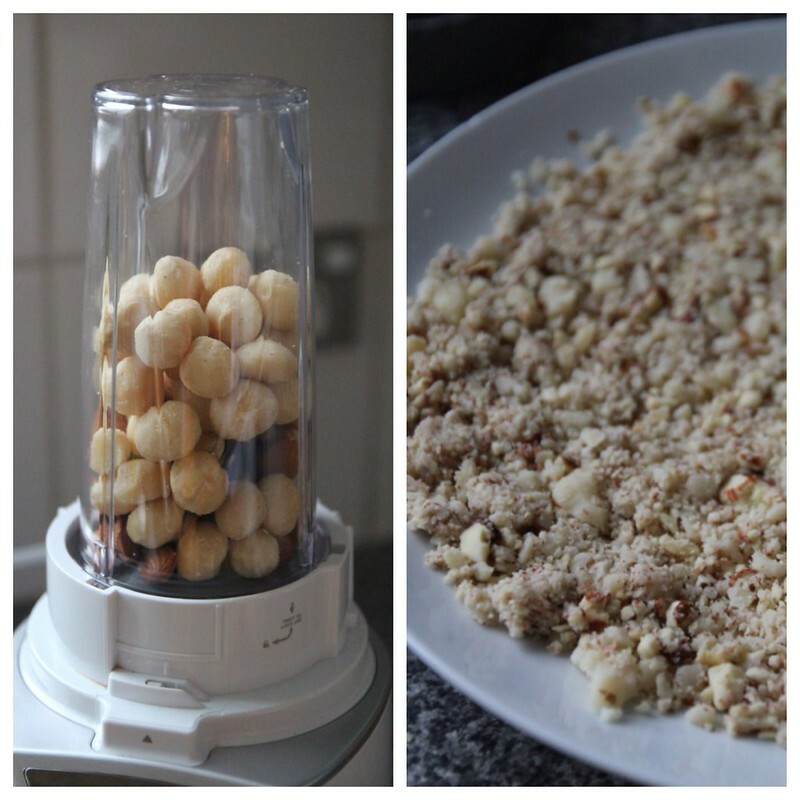 You could also try toasting your macadamia nuts prior to blending for a bit of extra flavour. 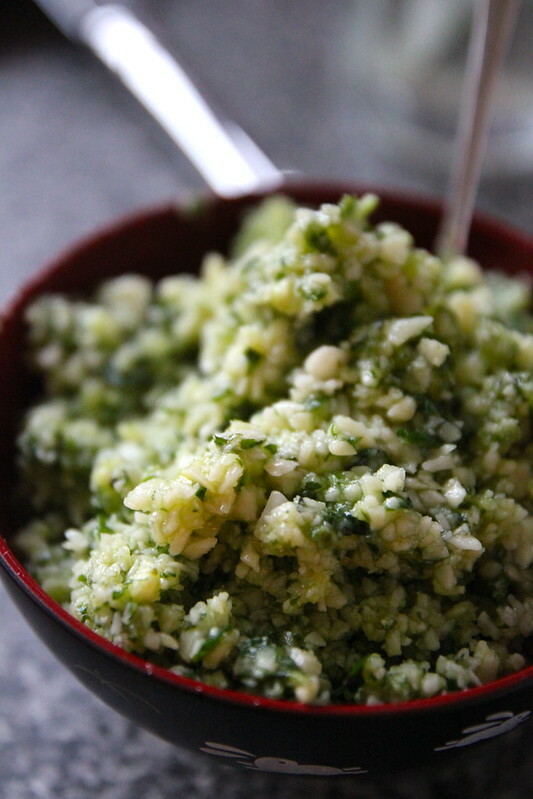 Whip with softened whipped butter to make flavoured pesto butter – great on toast! And I’m sure there are many more creative uses for pesto out there. Let me know if you have any other ideas! Arrested Development has been one of my favourite shows for years. Sadly it was cruelly cancelled by Fox during its third season, much to the disappointment of all its fans. It grew in popularity after its cancellation and finally, seven years later, they released a fourth season via Netflix (which premiered 26 May 2013), woohoo! 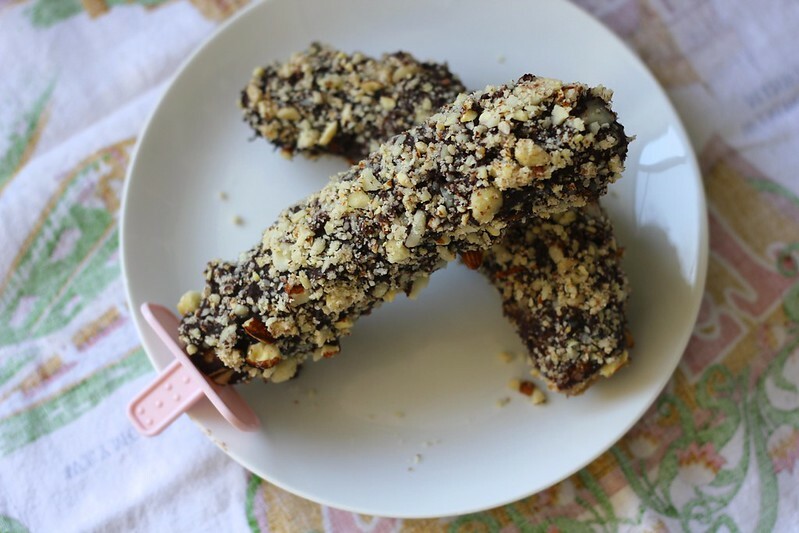 I wanted to celebrate this momentous occasion by making some homemade Bluth bananas, a treat which is sold on the show at the family’s Banana Stand. As you can see its a pretty easy recipe (my favourite kind!) 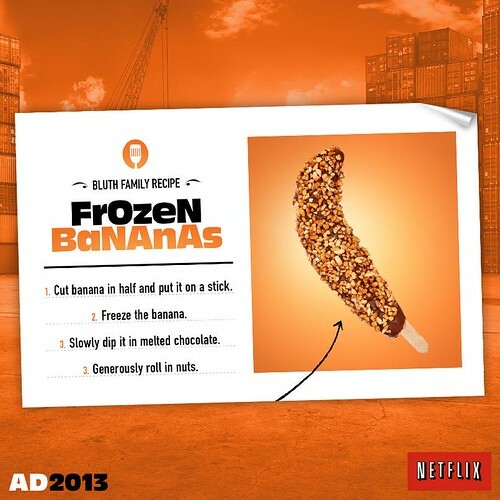 and is a fun treat to stash away in the freezer. It would be great to make with kids! Peel four ripe bananas and seal in a plastic bag to freeze for at least one hour (or overnight if you have the time). Remove the bananas from the fridge and insert a popsicle stick or similar (I used the plastic sticks from my iceblock moulds). If you are crushing your own nuts, this is a good step to get out of the way while the bananas are freezing. 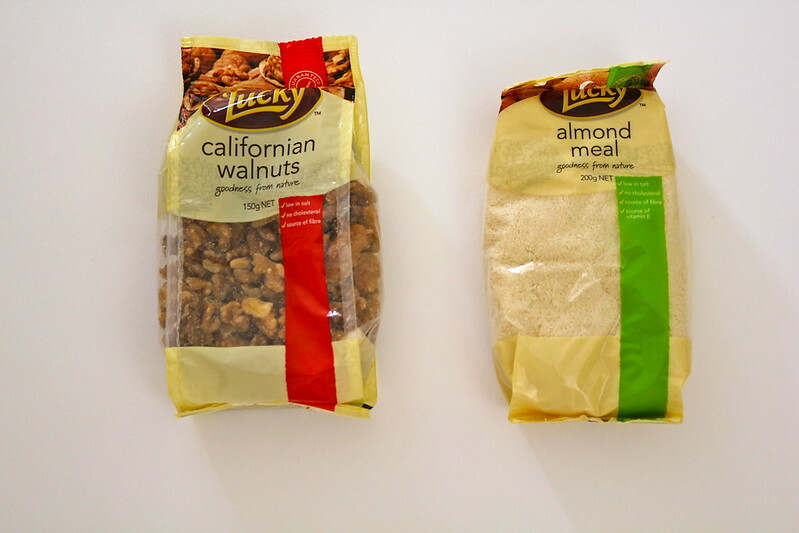 I used a handful of almonds and macadamias (but you can use whatever you like: walnuts, cashews, peanuts… anything really). Spread out your crushed nuts on a flat plate to roll your bananas in. Melt some good quality chocolate (I used dark) and dip your bananas in the chocolate and roll them in the crushed nuts (I made some mini Bluth bananas by cutting them in half as well). You can either eat them now, with the melted chocolate (recommended) or allow them to set in the fridge and allow the chocolate to harden. 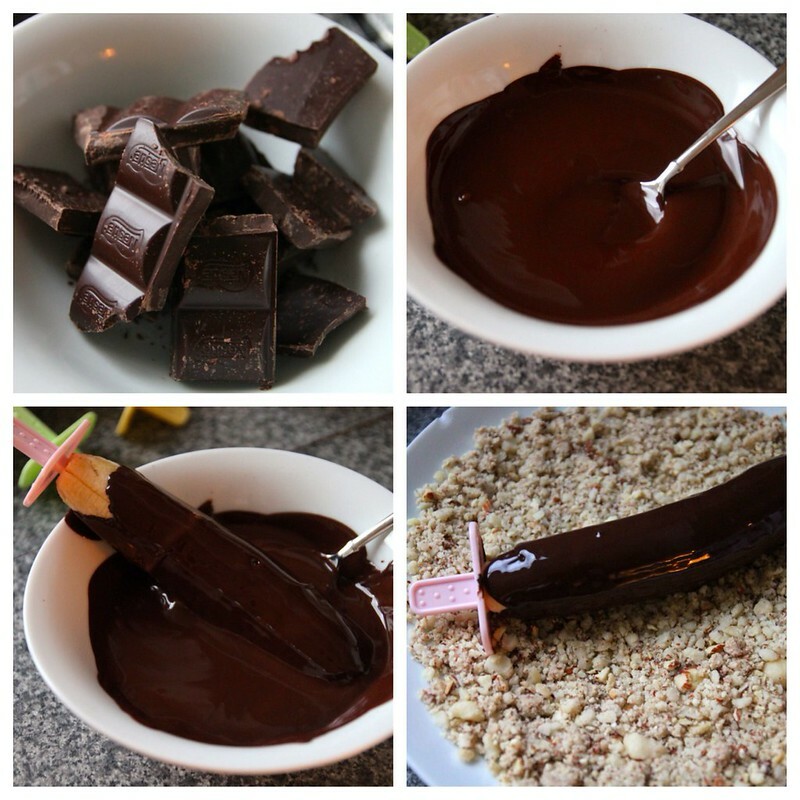 If you’re going to set them in the fridge, I would recommend adding a teaspoon of coconut oil to the melted chocolate before coating the bananas – this will make the chocolate coating a bit thinner and easier to bite into. You can store them in the freezer for up to one week. Peel bananas and place in a ziplock bag to freeze for at least one hour (overnight if time permits). 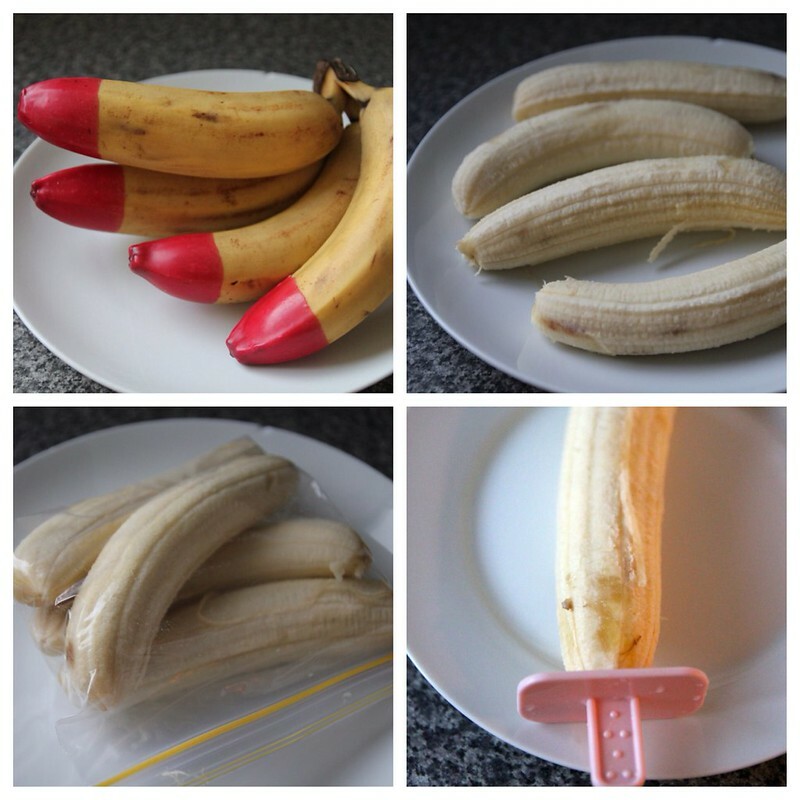 Remove bananas from the freezer and ziplock bag. Insert popsicle sticks into base of bananas. If you want to make mini versions, cut frozen bananas in half and insert popsicle sticks into cut bases. 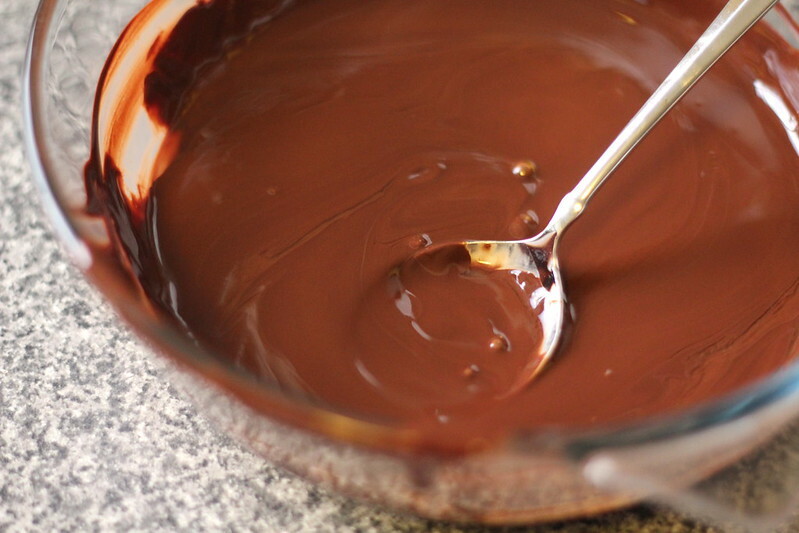 Melt chocolate in a microwave-proof bowl. 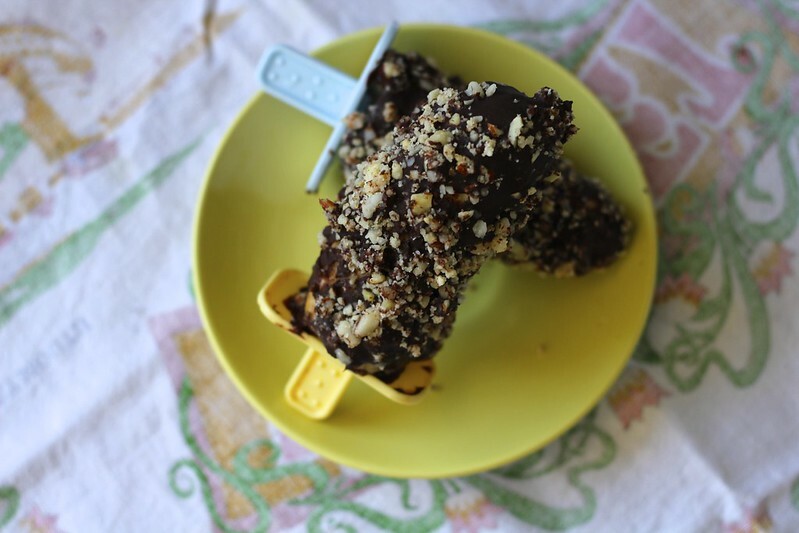 If you are planning on putting your bananas in the fridge after coating (or storing any leftovers in the freezer), add a teaspoon of coconut oil to your chocolate now. 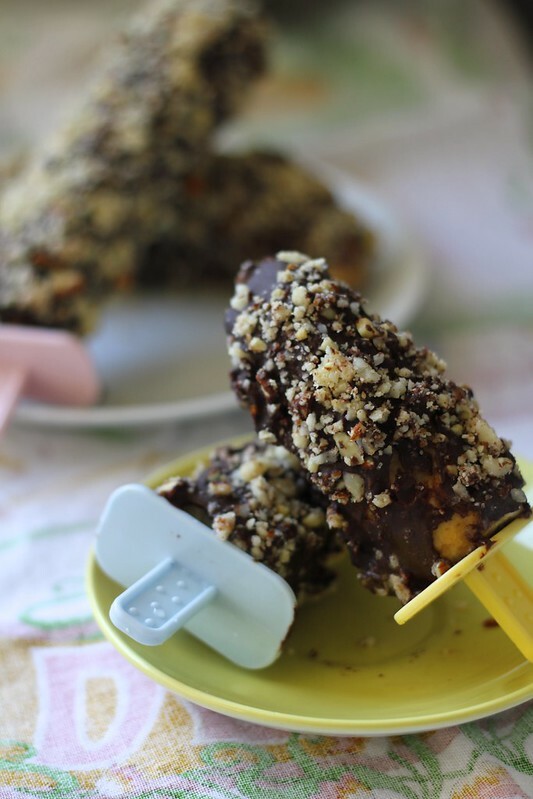 Dip frozen bananas into chocolate, coating completely. 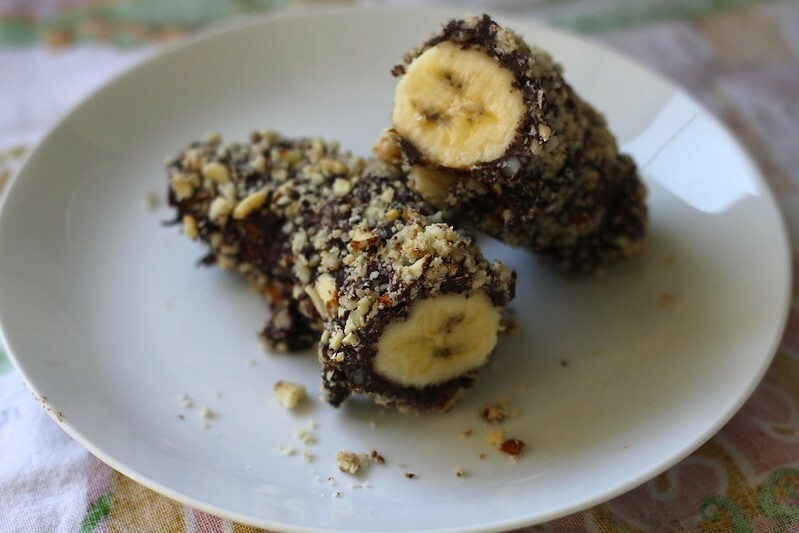 Roll your chocolate coated bananas immediately into your plate of crushed nuts until they are completely covered. Serve, or place in the fridge to harden the chocolate if you prefer them that way. Store any leftovers in the freezer for up to a week. 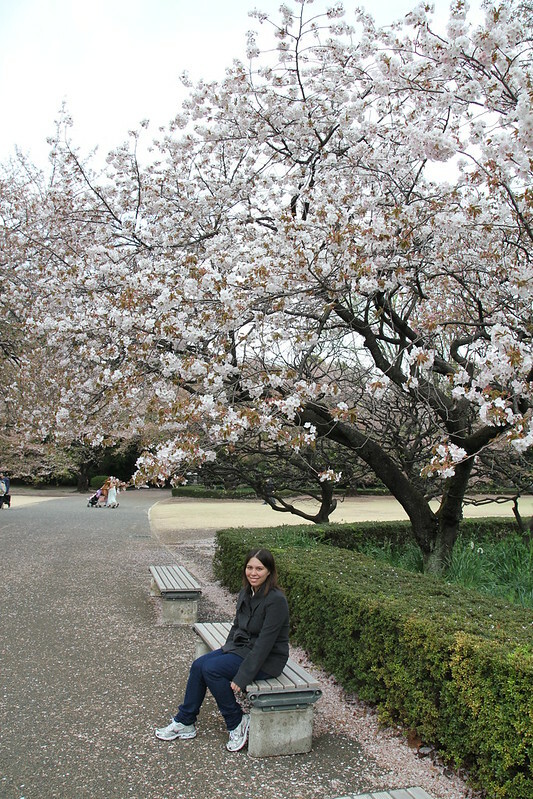 It’s been raining a little bit here but yesterday and today had the sun peeking out which gave me a good opportunity to check out some beautiful cherry blossoms around Tokyo. 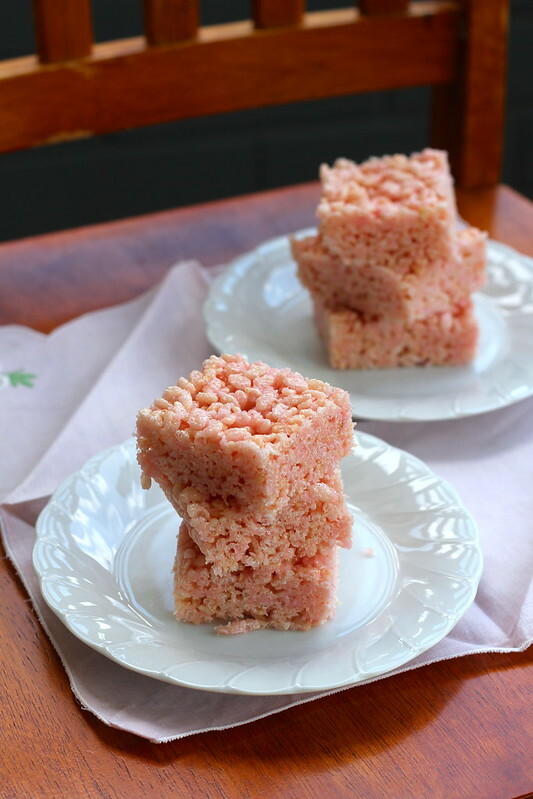 This is basically your marshmallow rice crispy slice, but I also used raspberry marshmallows and added some dessicated coconut for extra texture and flavour that I think turned out pretty well. I really love the chewy texture of the marshmallows and the crunch of the rice bubbles, especially with the raspberry and coconut flavour. 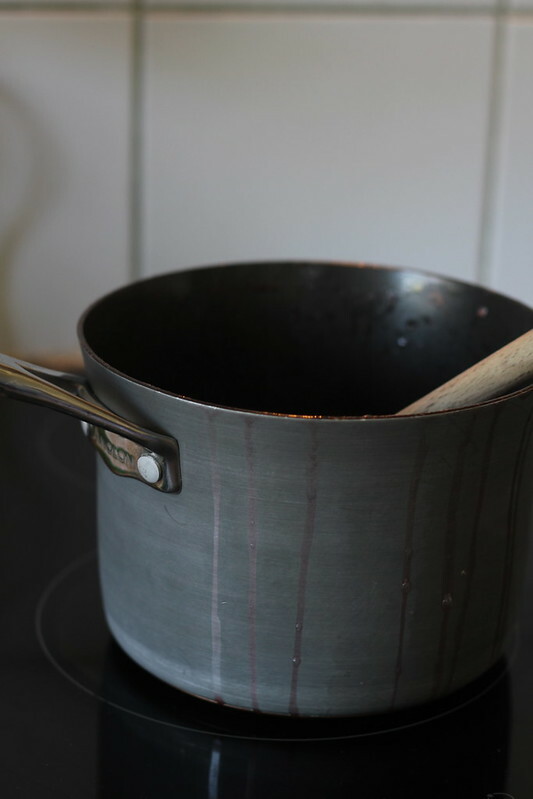 Melt together marshmallows and butter in a saucepan over medium-low heat and stir with a wooden spoon until there are no more marshmallowy lumps and the mixture is smooth. Add dessicated coconut and rice bubbles and stir until rice bubbles are thoroughly coated with the marshmallow mixture. Press rice bubble mixture into a lined brownie or medium size square (or round if you like) cake tin and refrigerate for two hours or until firm. 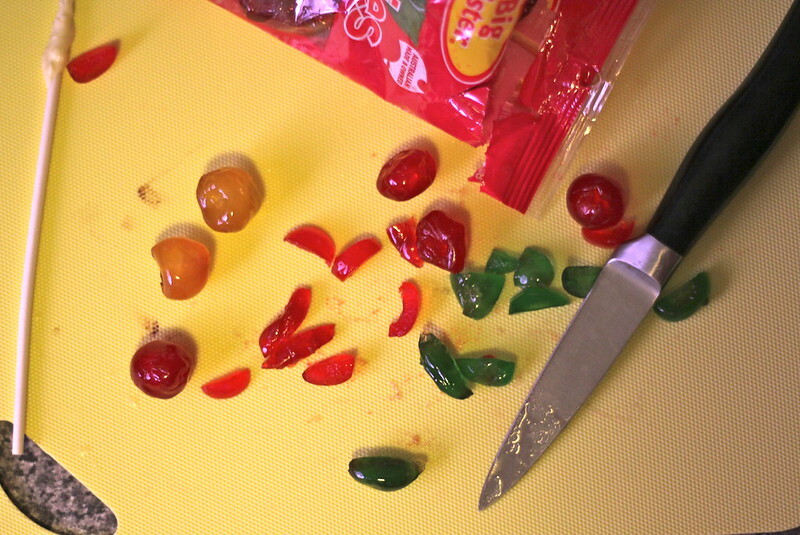 Cut into pieces with a sharp knife and serve. Keep refrigerated. Enjoy! 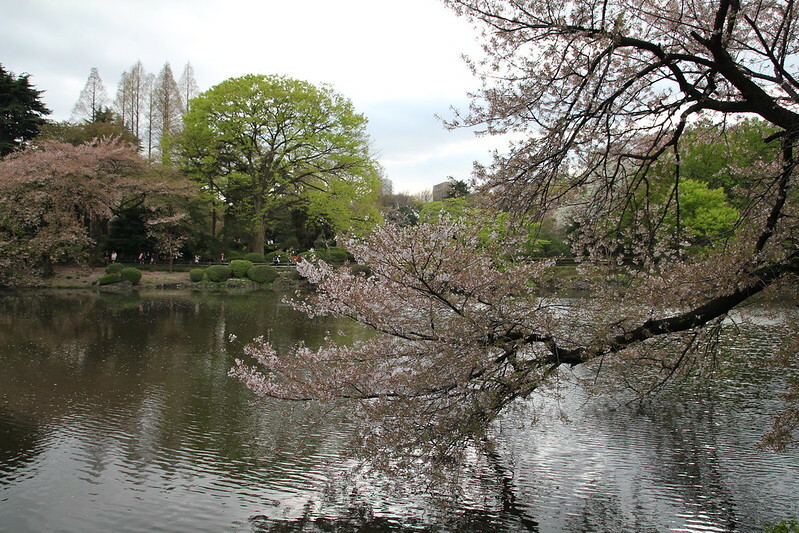 The cherry blossom season has been absolutely magnificent this year. I can’t get over these beautiful trees and have been going mad snapping photos of them! 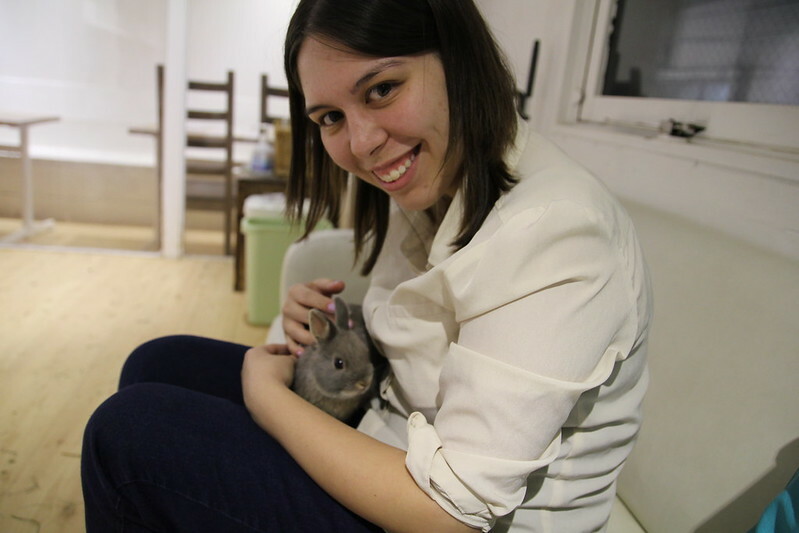 We discovered bunny cafes in Tokyo! Will definitely be posting more about this later! How cute are they!? 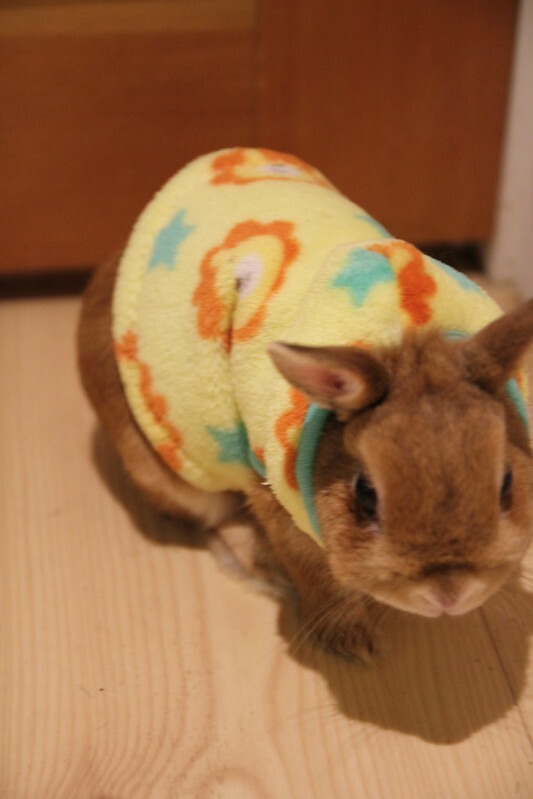 Hope you all had a wonderful chocolatey-stuffed Easter and are having a relaxing (and shorter!) week. 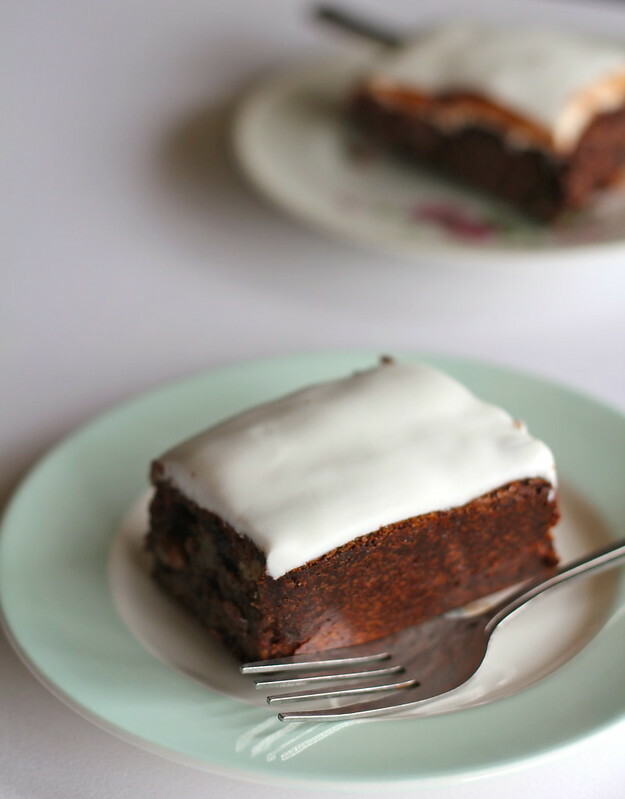 On my latest adventures in ‘no gluten or dairy’ land (see here to read more), I came up with this dessert gem. I’d often seen Tofutti ‘cream cheese’ in the cold section in supermarkets, but dismissed it as being one of those tofu replacements that tasted, well, kind of awful. Not to mention the price – almost double what I would normally pay for cream cheese. Well, I decided to give it a try, and was pleasantly surprised with the results. The texture is pretty much exactly the same as cream cheese and it tastes very similar, without a soy or tofu-like aftertaste. I was very impressed and tried it out with my vegan mushroom pâté and it worked out really well. 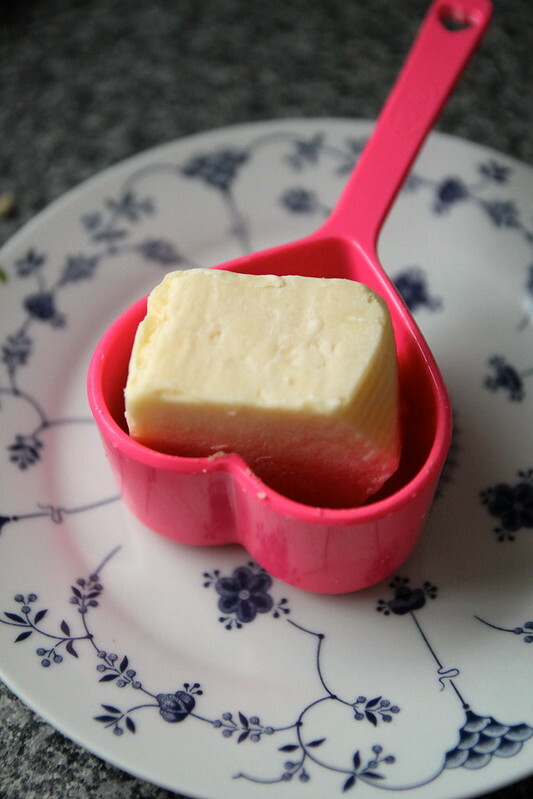 I am looking forward to trying it out in new recipes – definitely more cheesecake flavours. Maybe even some frozen cheesecake pops? Cream cheese frosting?! The possibilities are endless! 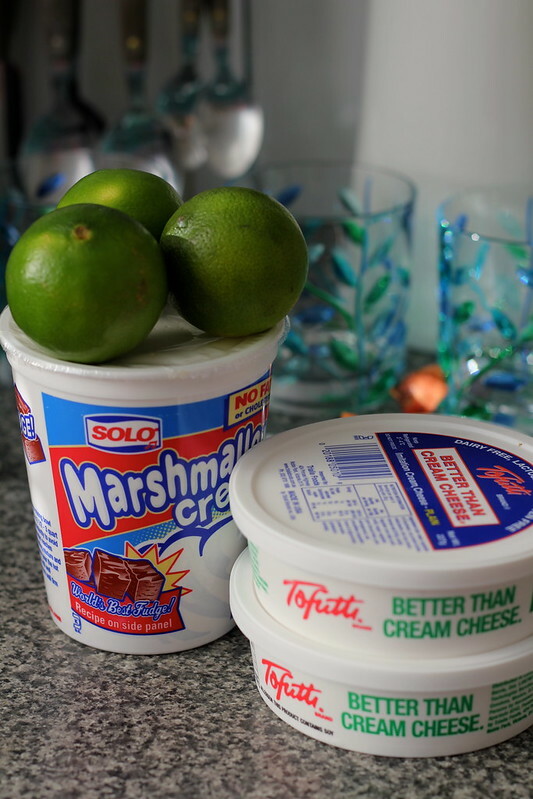 I had a jar of American marshmallow cream sitting in my cupboard waiting to be experimented with and wondered how it would go when combined with Tofutti and lime juice and it was a surprisingly delicious and easy to make filling. For the cheesecake crust, I wanted to go with something gluten free without compromising on flavour. Why avoid the gluten? Well I’ve been having a few digestive issues lately and gluten doesn’t seem to help, plus experimenting with gluten free foods is always a fun challenge! I wanted something biscuit-y tasting but without the gluten. 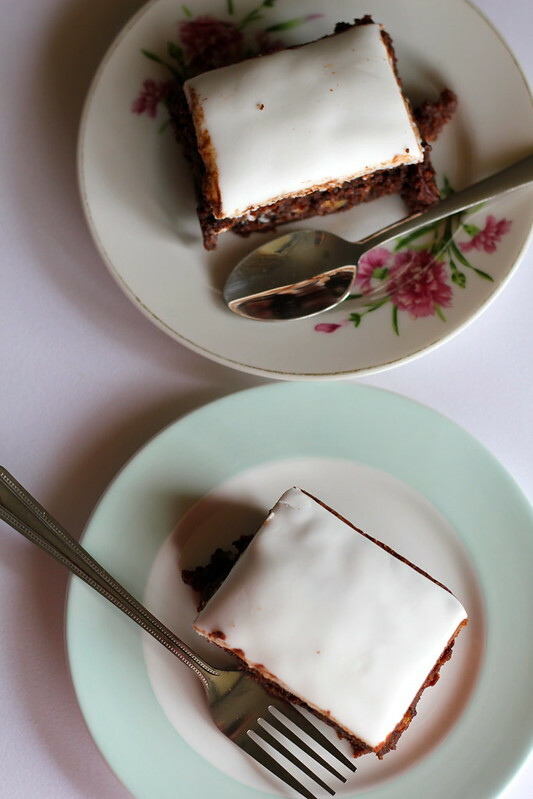 Enter roasted almond meal mixed with coconut oil – it tasted soo biscuit base-like, your guests really will never be able to tell the difference 😉 I also added some vanilla bean paste to give it some extra flavour, yum! I was really surprised how similar this tasted to regular cheesecake bases. 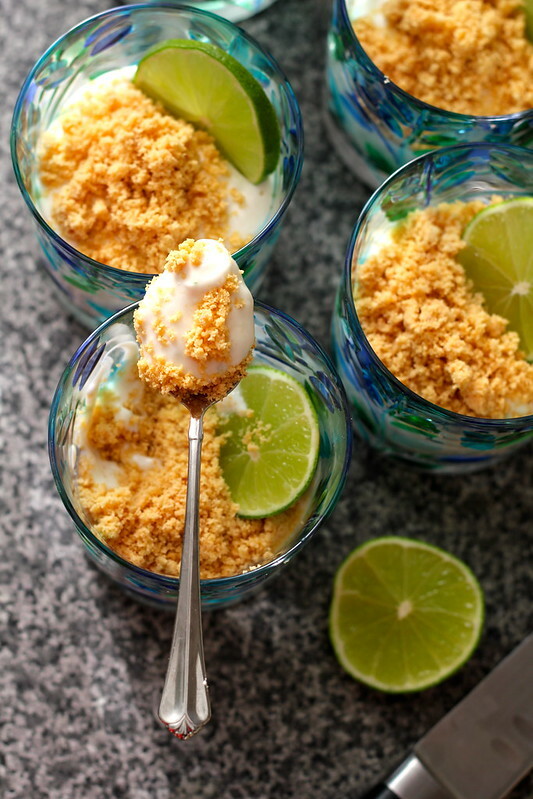 Place cream cheese, marshmallow creme and zest/juice of limes into food processor and blend. Add dissolved agar agar (if using) and blend again until creamy. 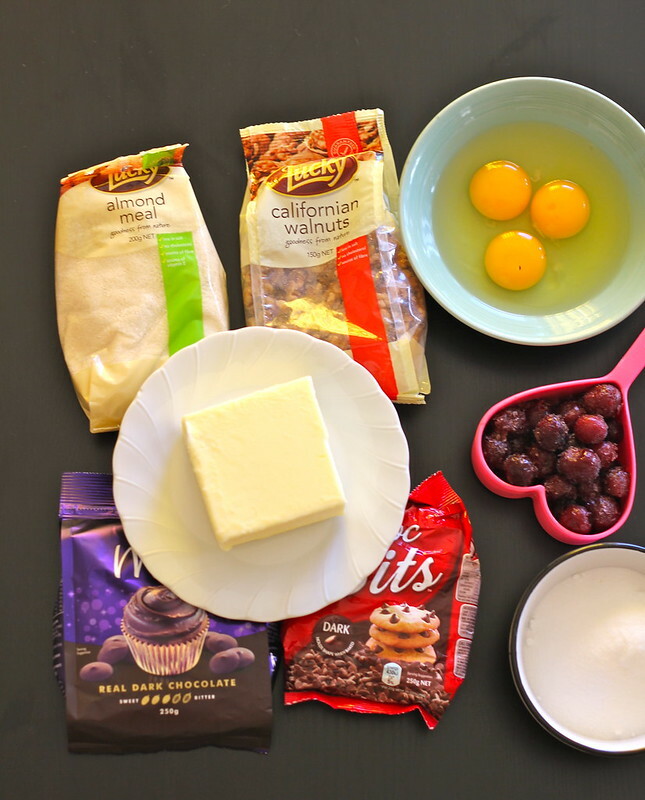 To make crust, mix together all vanilla crust ingredients in a bowl and stir until fully combined. Place 1 tablespoon of crust mixture into each glass and press down with the back of a spoon. 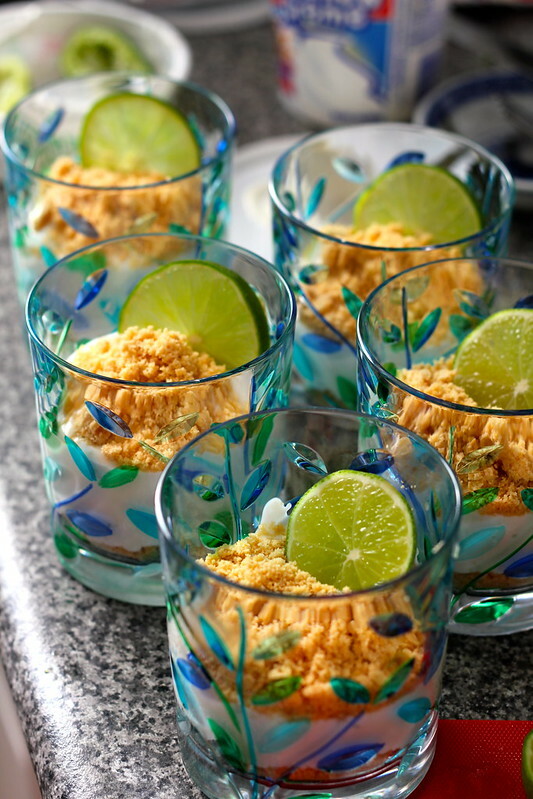 Divide cream cheese mixture among glasses equally and top with another tablespoon of vanilla crust. Add sliced lime to decorate and chill in the fridge for at least two hours before serving. Serve and enjoy! There, wasn’t that easy?! If you don’t have marshmallow creme, don’t despair! It’s quite easy to make (from what I’ve seen online anyway – I haven’t tried it yet) – it seems like it’s basically a meringue made with egg white, sugar and corn syrup. I reckon this would probably work well without the corn syrup as well. Here’s a great recipe for a handy guide. If you’re not averse to using gluten/dairy in your cooking, then I’m sure that using regular cream cheese and/or replacing the almond meal with crushed bikkies would also work a treat, but give this is a try anyway as I think you may be pleasantly surprised! Additionally, Tofutti cream cheese has lower fat content than regular cream cheese, making this dessert a good alternative for those trying to cut a few calories. Hope you all had a super relaxing weekend full of lovely sleep and incredibly delicious food and are looking forward to the week ahead, I know I am ! I used to be a bit of a mushroom-hater. I have a vague recollection of eating something mushroomy as a child and enjoying it, but for the greater part of my childhood/teen life mushrooms, for me, were not an option. Family and friends would go out of their way to make sure shared dinners didn’t include them – and I avoided them like the plague. I think it was the texture and the taste I disliked so much. It wasn’t until I was about 22 and traveling through Japan that I remember the change taking place. I was visiting a friend who lived in Osaka who made me a big bowl of steaming vegetarian nabe (Japanese soup) on my first night at his place. 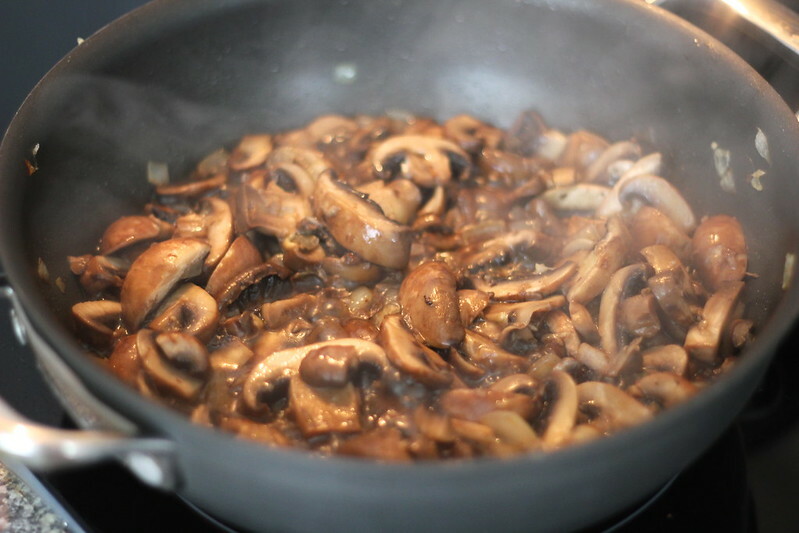 He added a handful of sliced Japanese mushrooms to the broth. They didn’t look too bad and smelled great… Suddenly all my mushroom reservations fell away. I took a tentative bite and was completely hooked. It opened up the world of mushrooms to me and I loved it. Suddenly cup mushrooms, shiitake mushrooms, oyster mushrooms and portobello mushrooms were brand new friends and thus my love affair with mushrooms was born. 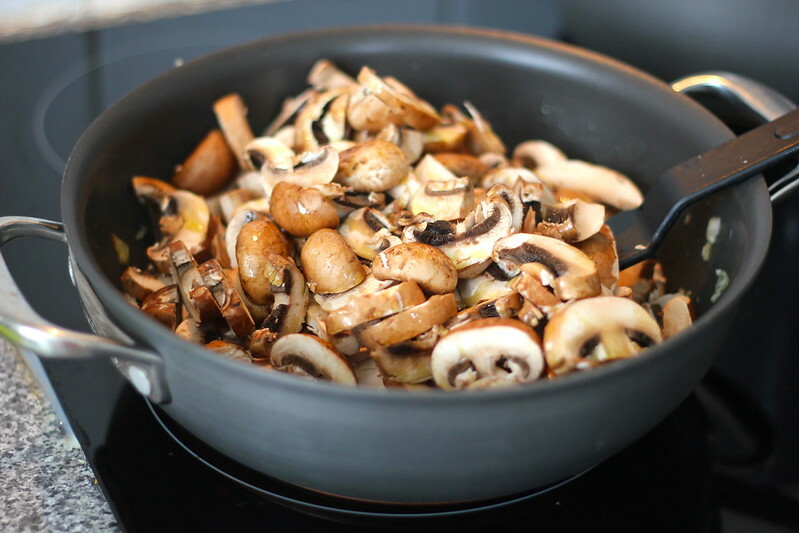 I still remember the surprise on my best friend’s face when, cooking dinner at her house after that trip, I insisted we add mushrooms to the stir fry we were preparing. “What, really?” she said, with big eyes. “Yes, REALLY,” I replied. From then, I was mushroom-obsessed. They literally could not go into enough of my meals. 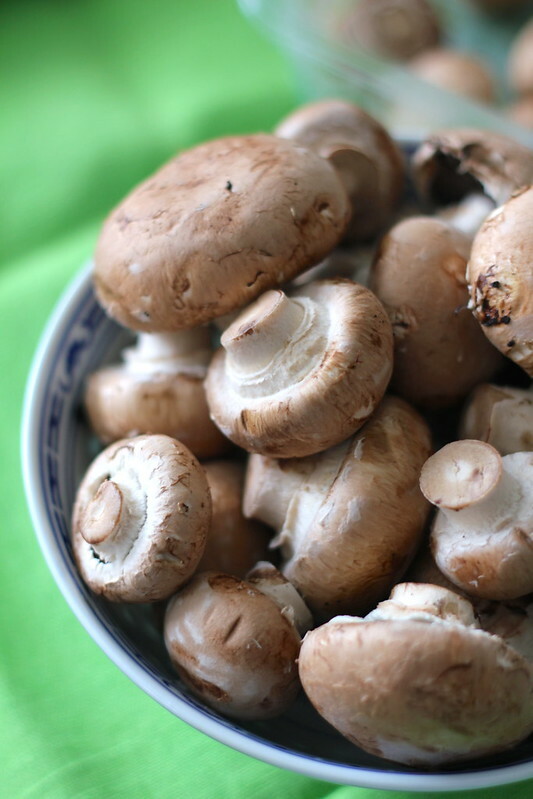 I was just so excited to finally try all these mushroom-related recipes I had avoided before, as well discovering that mushrooms added a wonderful flavour to so many of my regular go-to recipes such as stir fries, pastas, omelettes and so much more! It’s funny how much a simple trip overseas has the ability to change a person. That five week trip to Japan was my first real adult trip without my parents and it really opened my eyes to a whole lot of things, especially food. I fell in love with not only mushrooms, but also avocado, feta as well as mochi and curry udon (two of my biggest food-loves). I could gush on and on all day about how much I love Japanese food and travelling there, but if you like, you can take a read a bit more on my post all about that by clicking here. 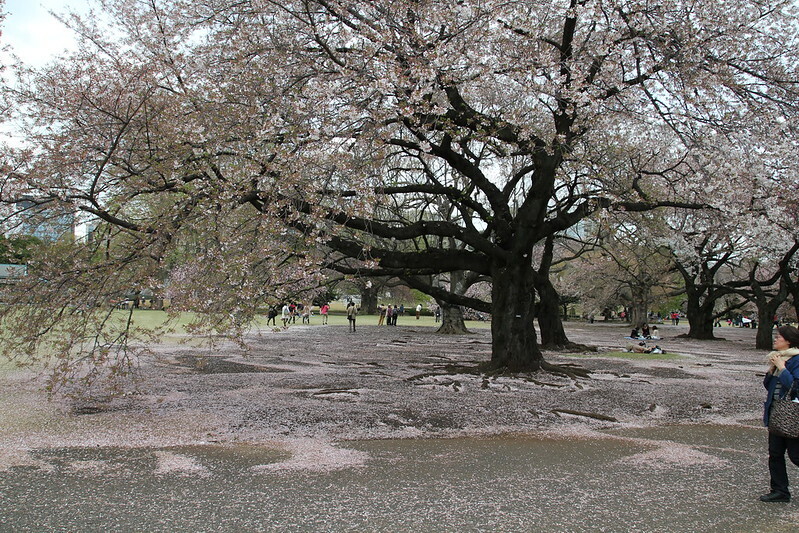 I’m sure I’ll write something similar after my cherry blossom trip there in a few short months too! Anyway, back on track and back to the Mushroom Pâté! Australia Day is coming up and everyone knows that means BBQs-a-plenty and lots of family get-togethers! I find that I’m often asked to bring appetisers to parties so I tried to come up with a recipe that’s low in fat and incredibly delicious that everyone can enjoy, including those with common allergies and vegans. After a bit of thought, I came up with this Mushroom Pâté recipe, and the good news is that it’s totally simple to put together. 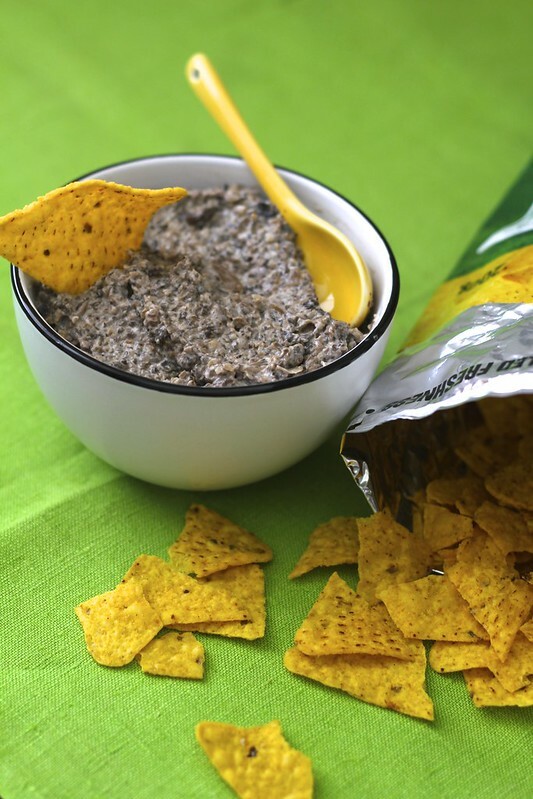 Why not whip up a batch of it this Australia Day and try something a little different from the dips and pâtés you would normally pick up from your local grocery shop this summer? It’s much fresher and better for you, without all the hidden nasties and preservatives you often find in those packaged dips! Start out with a bounty of baby bellas. Slice ’em up and whack them into a pan with already-sautéed garlic and onion. After a minute or so, add the pan lid and cook on high for about 5 mins. After about five minutes on high with the lid on it should look something like this and have developed some liquid. Some recipes opt to add some flour to thicken it at this stage but I didn’t feel it necessary. If yours develops quite a bit of liquid, I would recommend adding about a teaspoon of corn flour (dissolved in water to avoid lumps.) By the way, it was so hard not to eat the mushrooms just like this – especially on a piece of crusty bread. Bliss!! After a few more minutes – this is about the final stage I wanted them at before cooling in the fridge – a good part of the liquid has evaporated, but you do want a little bit in there to smooth the pâté out some. The next few steps are easy – place in the fridge until cool and then pulse in a food processor/magic bullet/blender with cream cheese until you get a fairly chunky consistency. Make sure you don’t go overboard with the blender as you don’t want a paste! I found a few pulses with my processor were more than enough. 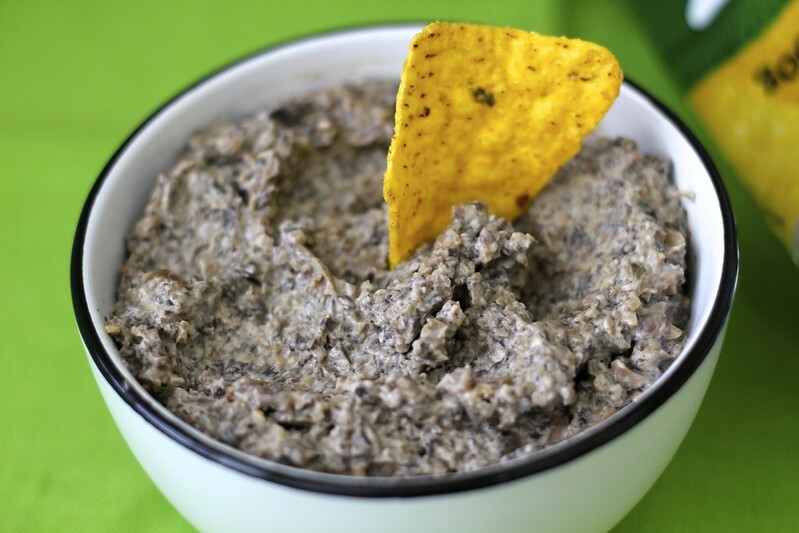 Makes: 1 small bowlful of pâté but serves at least 8 guests with crackers/veggie sticks. Time to prepare: About 10 minutes to prepare ingredients, 10 minutes of actual cooking, 1-2 hours cooling time and about 2 minutes to blend. Equipment needed: Chopping board, sharp knife, 1 saucepan, a food processor/blender. 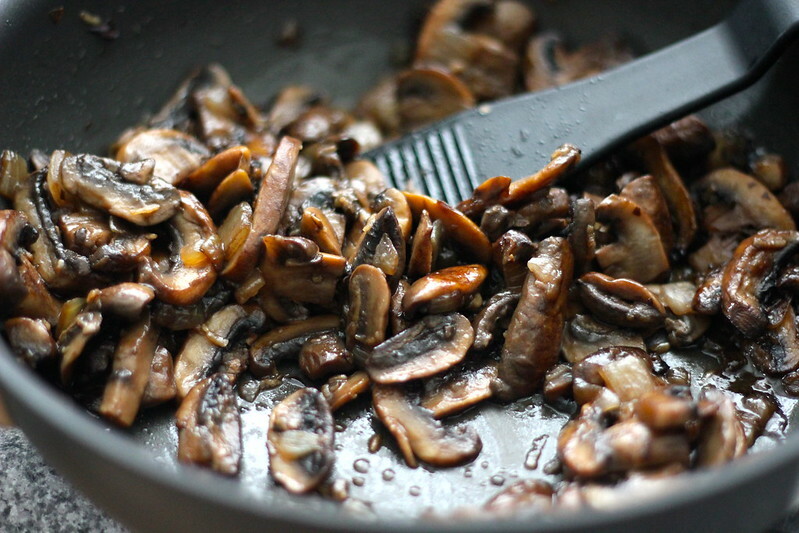 Clean and slice your mushrooms. Place saucepan on high heat and add 1 tablespoon of olive oil. Fry onion until translucent (about 5 minutes). Add garlic and fry for a further minute. Add mushrooms. Add extra tablespoon of oil if needed. Fry mushrooms for about 1 minute on high. Cover with saucepan lid and keep on medium high heat for another 5 or so minutes until mushrooms are cooked through. Stir through balsamic vinegar. Remove to a bowl and cool in the fridge for 1-2 hours or until completely cool. Place cooled mushroom mixture in your food processor and add cream cheese. Blend for about thirty seconds until the mixture comes together but do not blend for too long – you don’t want it to become a paste – its much nicer with some texture to it. 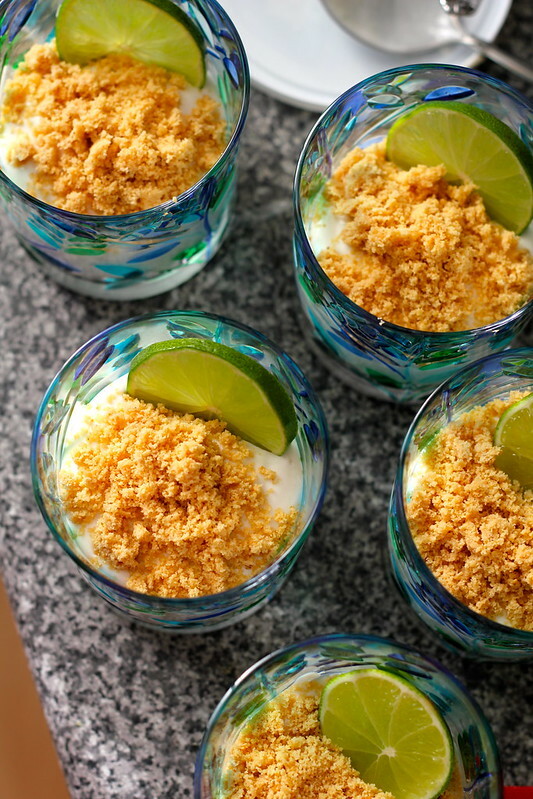 Serve with crackers, veggie sticks, melba toasts or corn chips! Enjoy! 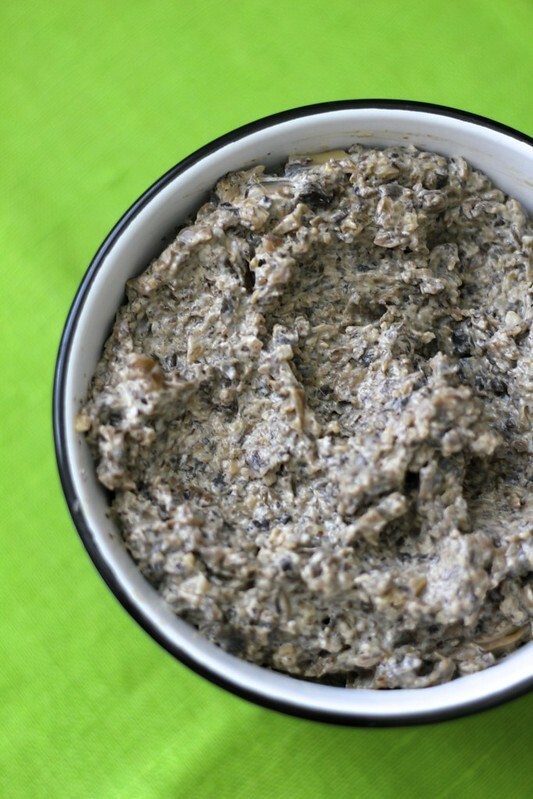 Looking for some more ideas about what to use your leftover mushroom pâté for? It’s incredibly versatile and easily able to lend its great flavour to a bunch of snacks and other dishes! Another week has gone by! Hope you all had a lovely weekend – and the next one will be a long one 😉 Woohoo! How have you been enjoying 2013? I hope you all had a lovely and relaxing Christmas break filled with lots of fun and delicious treats! I do have a bit of annoying news for myself though – and that is I’ve been feeling a bit intolerant lately. I’ve been feeling quite ill for the past few months. I’ve seen the doc, had my blood tested for a few things, and have also tried a few elimination diets to try and figure out why my digestive system was on the fritz. Prior to this I’ve had similar sorts of stomach upsets but this was lasting a lot longer than it had in previous times. Long story short, I seem to have some sort of intolerance to wheat AND dairy – much to my disappointment as I clearly love both of these things with a passion. Fortunately I seem to be able to consume a smallish amount of either without much consequence but any more than that seems to have.. side effects. Side effects that I would rather not bore you with, but I’m sure you get the idea! Anyway, that being said, while I still intend to share my favourite gluten and dairy recipes with you all (as I will still make them from time to time) I suppose I will be venturing into more gluten- and dairy-free recipes. Time to don my creative hat, as eating gluten- and dairy-free is certainly a new thing for me. I suppose I am still in a bit of a teething stage and part of me hopes that it may not be permanent (my blood test revealed that I am definitely not coeliac). All this being said, I am looking forward to trying out new GF and DF recipes and I will still of course be only posting the easiest and most delicious ones I can find! One particular dairy-free treat I’ve missed indulging in the most (and especially in this heat!) has been ice-cream. I am a big strawberry lover and love all things strawberry scented and flavoured: ice-cream, body wash, shampoo, creams, all of it! So when I got inventing in the kitchen, it was not a tough decision about which flavour to try first. I did a bit of brainstorming and figured I would make a strawberry syrup from fresh strawberries, blend it with coconut cream, then freeze. To my surprise, it worked out even better than I imagined. 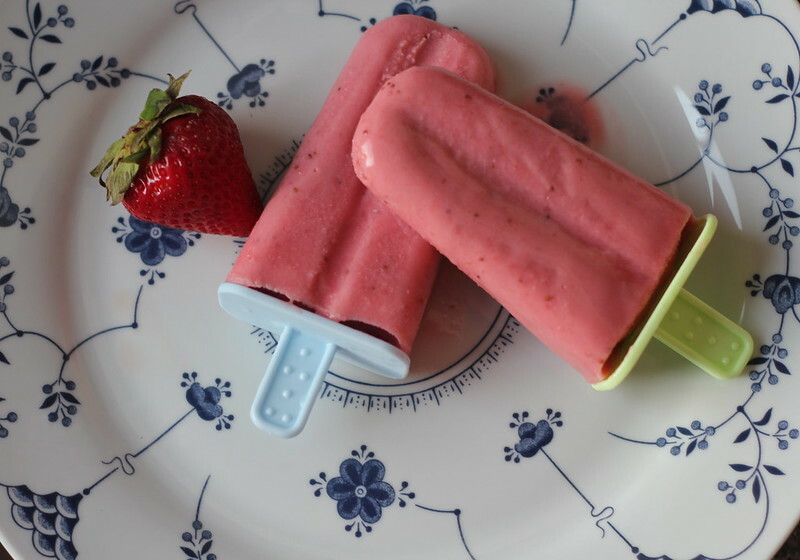 This recipe is beautifully creamy with a great strawberry flavour and a light coconutty aftertaste. Not only is it dairy-free, it is also gluten-free and vegan, but I promise that you will not miss the usual cream and egg yolks normally packed into regular ice-cream! If you wanted to try a different spin on this recipe, I expect this would also be a lovely treat blended with Greek yoghurt instead of the coconut cream. 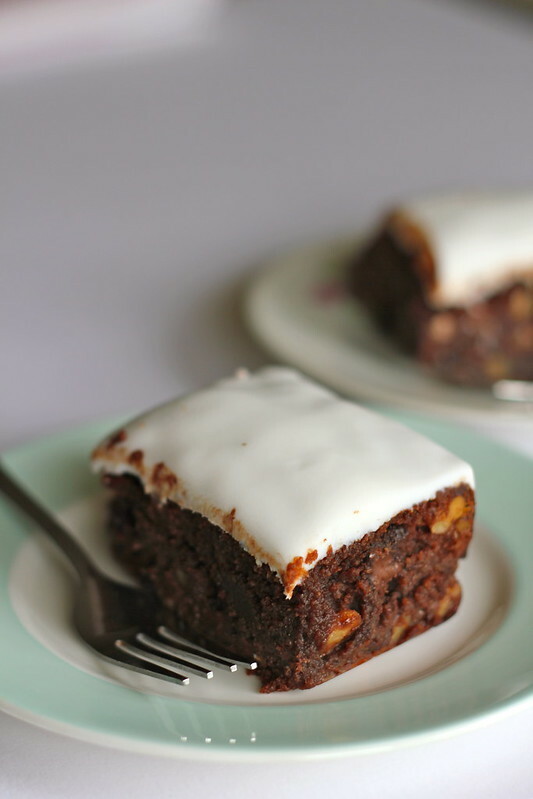 I really was surprised at how well this recipe turned out – I kept sneaking bites during the photographing process, hehe. Even as I type, I’m still finishing off the last few scoops – pretty handy on this intensely hot day! I think this may well be one of the best recipes I’ve ever come up with! Another bonus is that this easy recipe is only five simple ingredients. Woohoo! 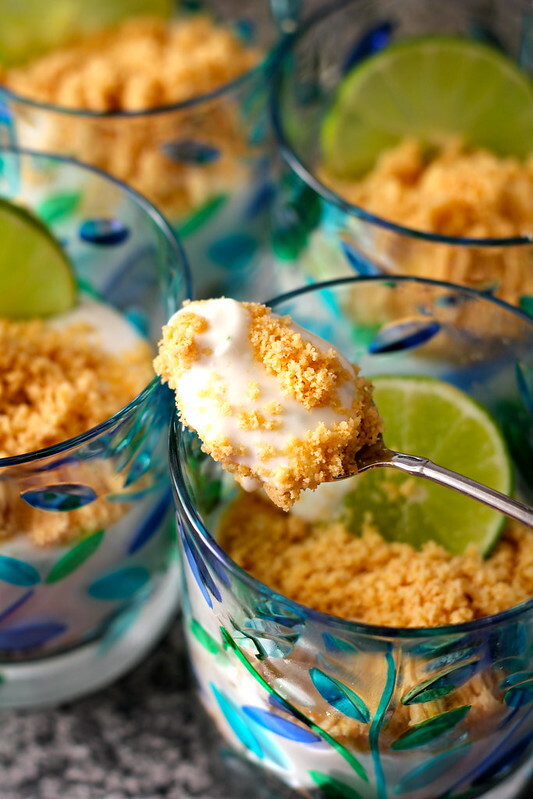 This recipe is a snap to put together, however it does require you to pop a can of good quality coconut milk in the fridge the night before (to separate the hardened coconut cream from the thinner coconut water in the can). I’ve heard of those who don’t refrigerate their cans of coconut milk overnight with success, but I haven’t tried it. 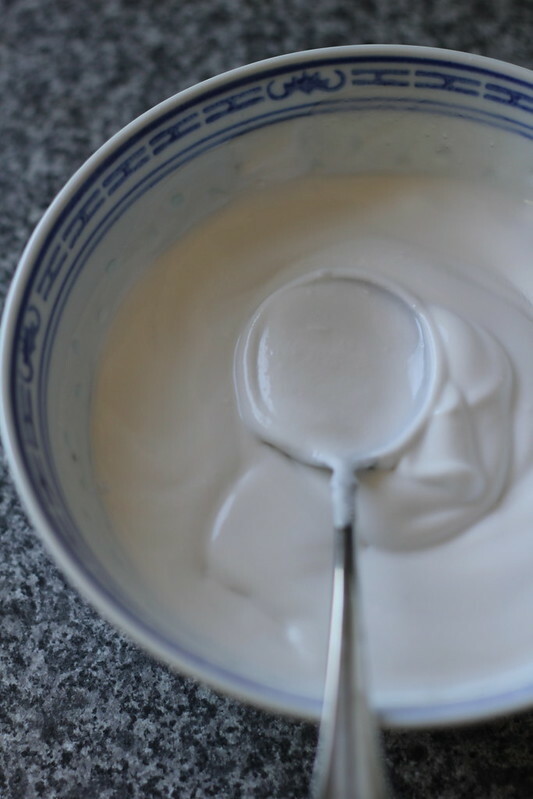 One day after refrigerating your coconut milk, flip the can, open it, scoop out the hardened coconut cream and place in a bowl. Cover with cling film and place in the fridge. 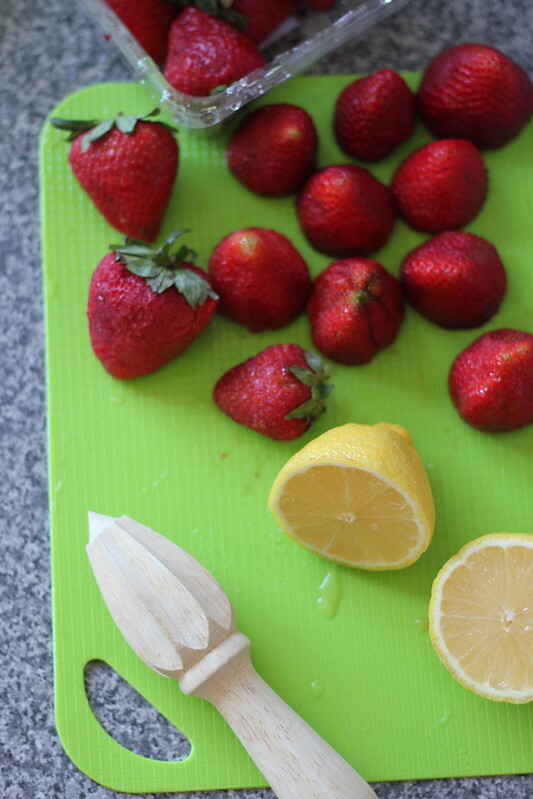 Slice up two punnets of strawberries and chop a medium sized lemon in half. 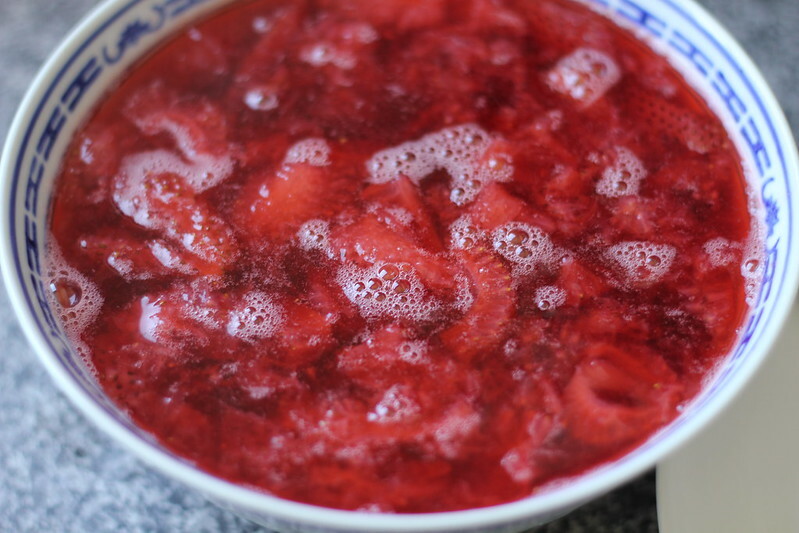 Add sliced strawberries to a saucepan, followed by a cup of water, a cup of white sugar and squeeze in the juice of half a lemon. Place on high heat and simmer for about 20 minutes. Careful though, as this has a tendency to overboil! Keep an eye on it. After 20 minutes on high, lower the heat to medium-low and keep it on there for a further 20 minutes. 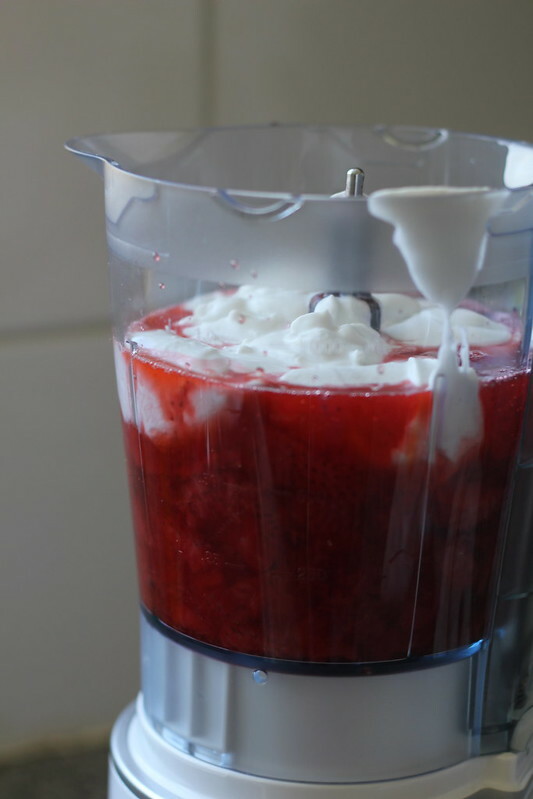 Pour cooled strawberry syrup into a blender and add coconut cream. Blend until creamy and a pretty pale pink. 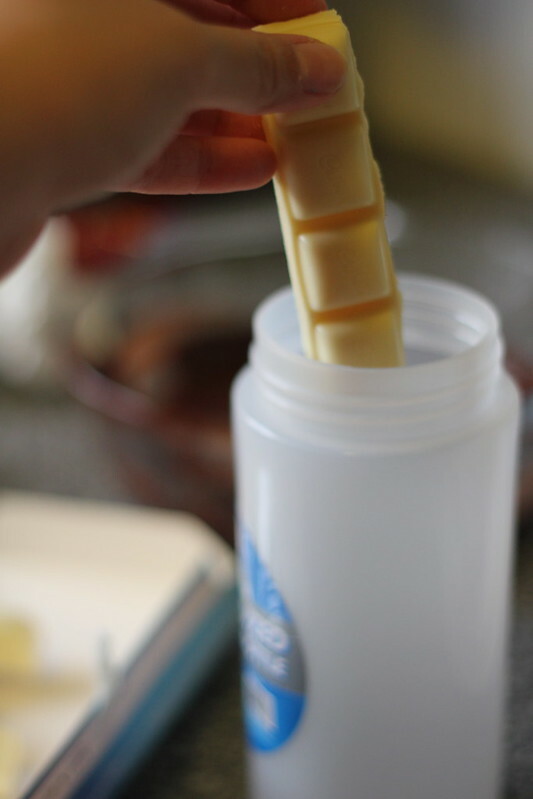 Pour into pop moulds and freeze until solid. 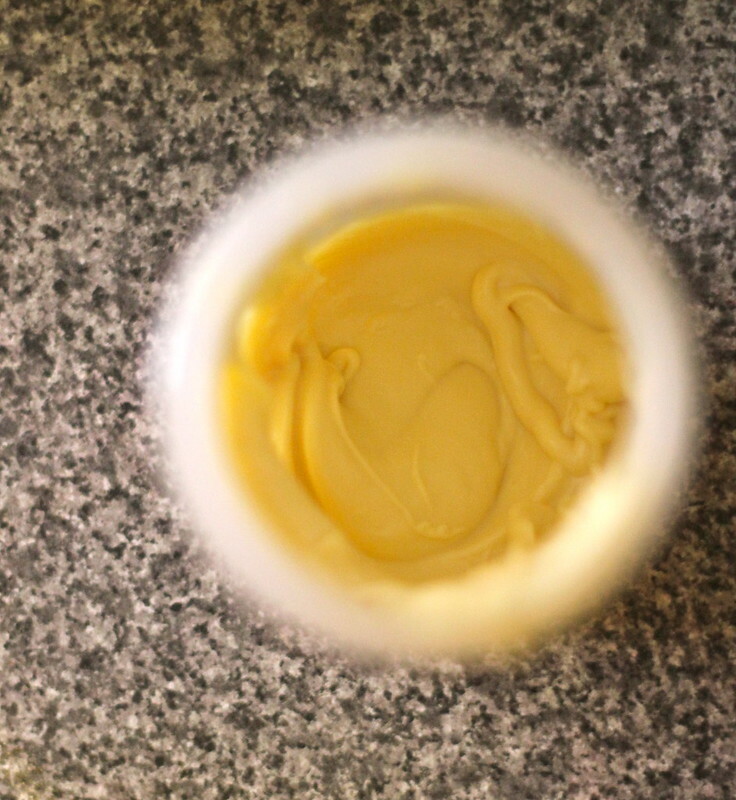 With the rest of your ice-cream mixture, pour into a plastic container and freeze in the fridge. Every hour or so, take it out and mix thoroughly with a spoon to break up any ice crystals forming until completely frozen and creamy. 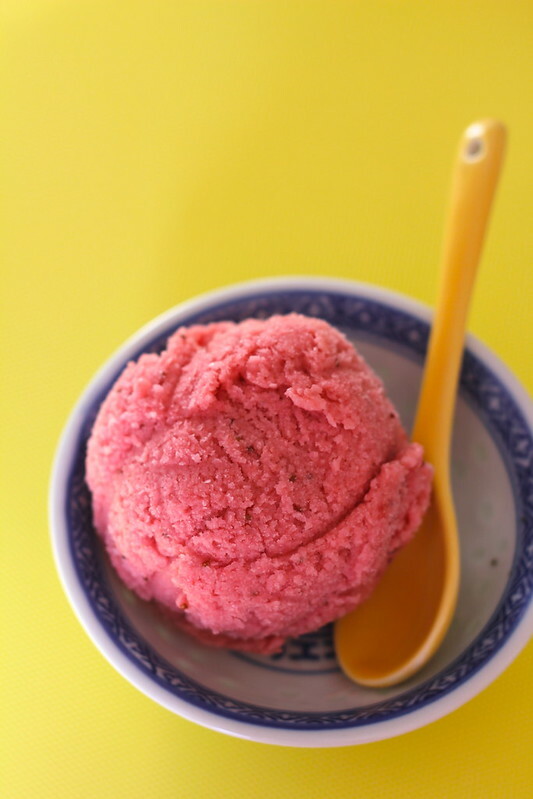 For an even better explanation on how to make ice-cream without an ice-cream maker, click here for David Lebovitz’s great tutorial. You could of course just pour this into an ice-cream maker and churn after blending. Note: This ice-cream is also a little icy after freezing. 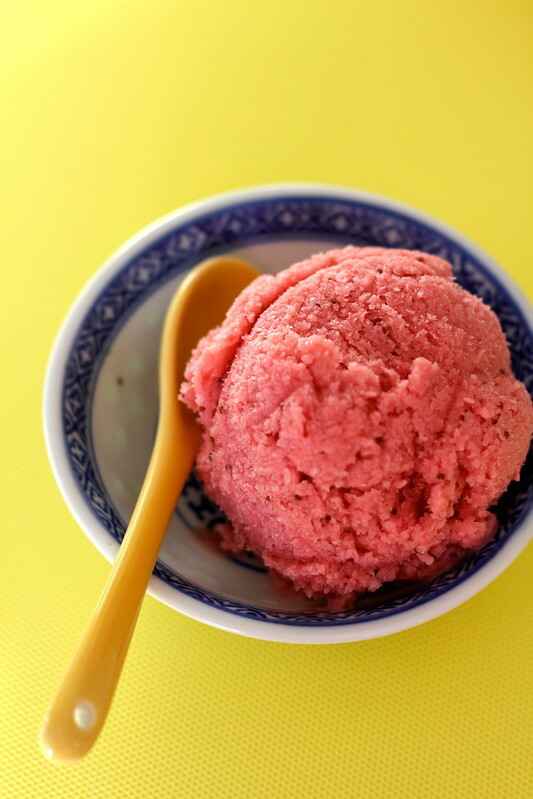 David Lebovitz once again comes to the rescue with tips on how to soften home-made ice-cream – click here to read on! Time to prepare: Overnight for the coconut cream, about 1 hour for the strawberry syrup, 1 minute to blend and about 2-3 hours to freeze. 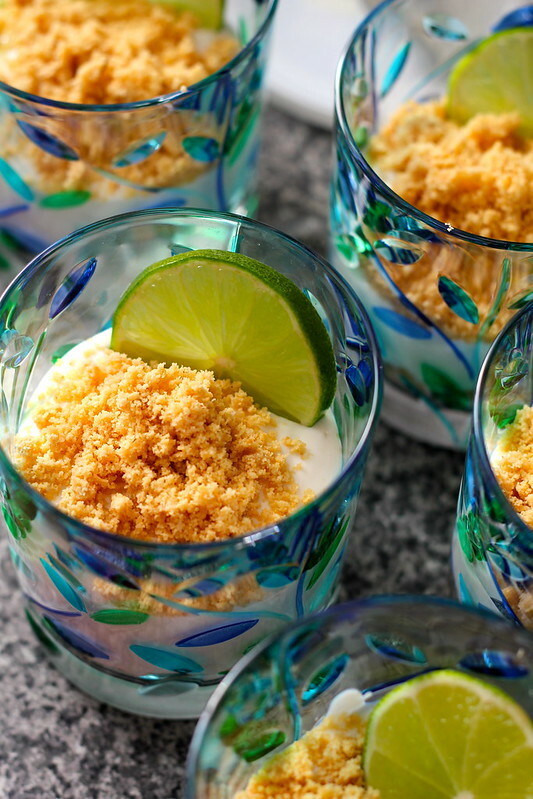 To start this recipe you need to begin one night beforehand by putting your can of coconut milk in the fridge. 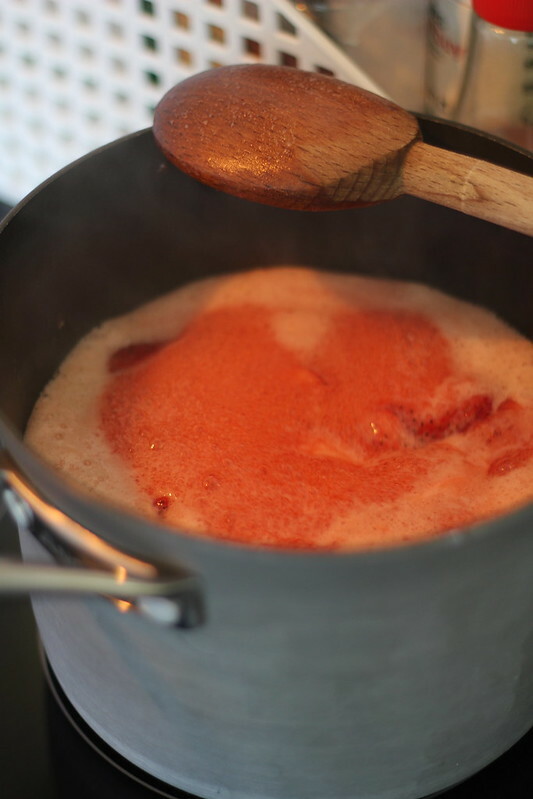 You can make the strawberry sauce 2 hours ahead of ice-cream making time, as it needs to be cooled, but if you’re starting the night before that would probably make things more convenient to cool it overnight in the fridge and you’re ready to go the next morning. 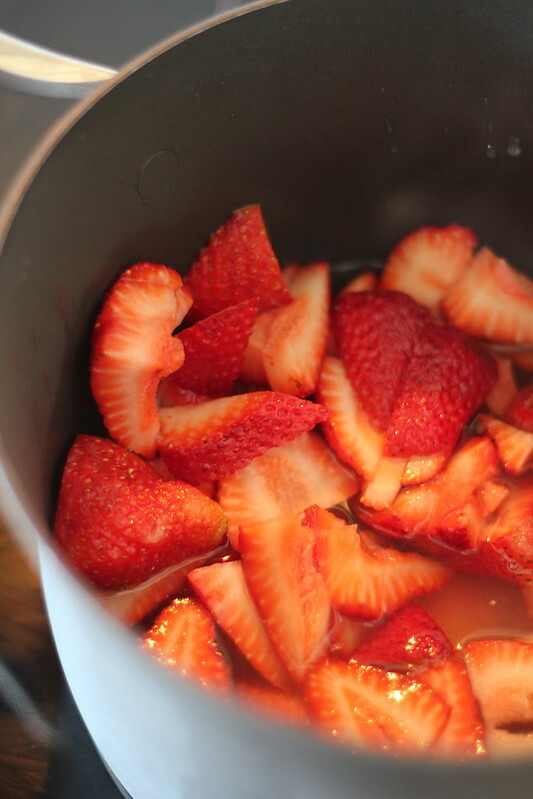 Slice strawberries and place in a saucepan. Sprinkle over sugar and add water. Turn heat on high and heat until sugar melts. Simmer for about 20 minutes on high, but please keep an eye on it, as this mixture is prone to overboil! (I learned this the hard way!) Lower heat to medium-low for about another 20 minutes until the strawberries are quite syrupy, but there is still quite a good amount of liquid. Take off the heat and pour into a bowl, cover and place in the fridge for at least 2 hours or until completely cool. You should have about 600mls of liquid in total. 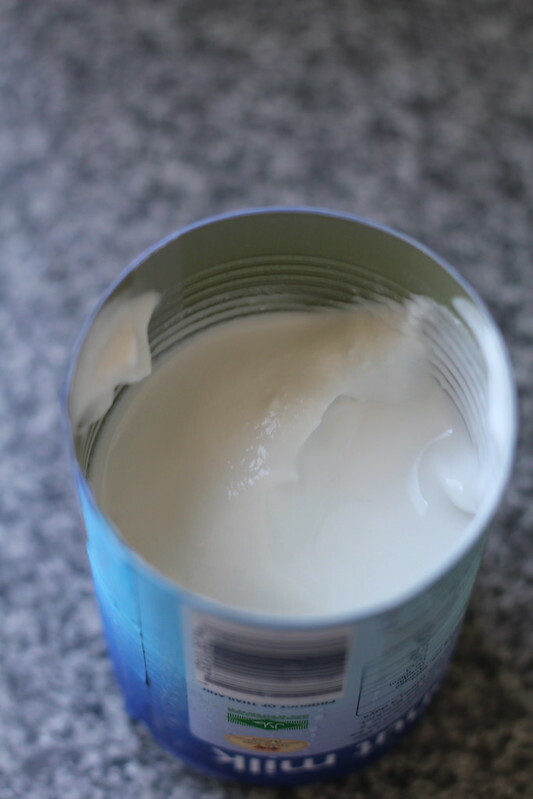 While the syrup cools, remove the can of coconut milk from the fridge and flip (be careful not to shake it). 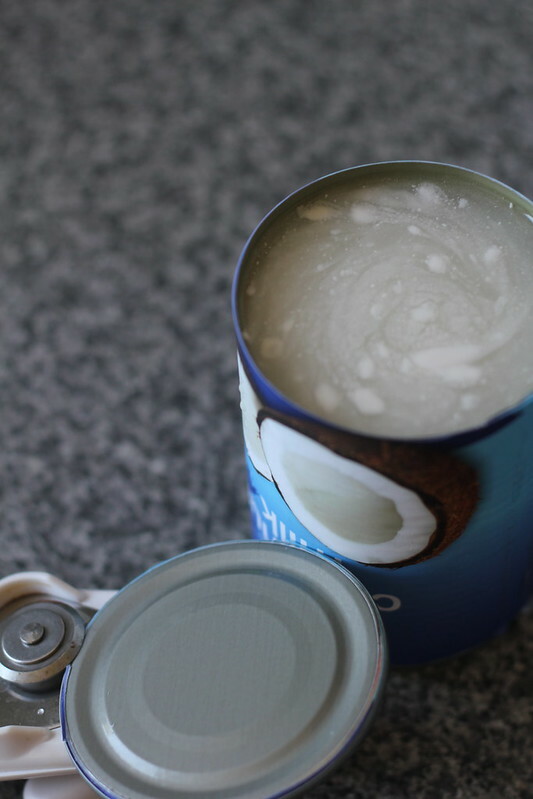 Remove can lid, drain off the watery liquid and scoop out the hardened coconut cream at the bottom of the can. Place in a bowl, cover and place in the fridge while syrup cools. This should slightly thicken the cream. When syrup is completely cooled, pour into food processor, or a blender. 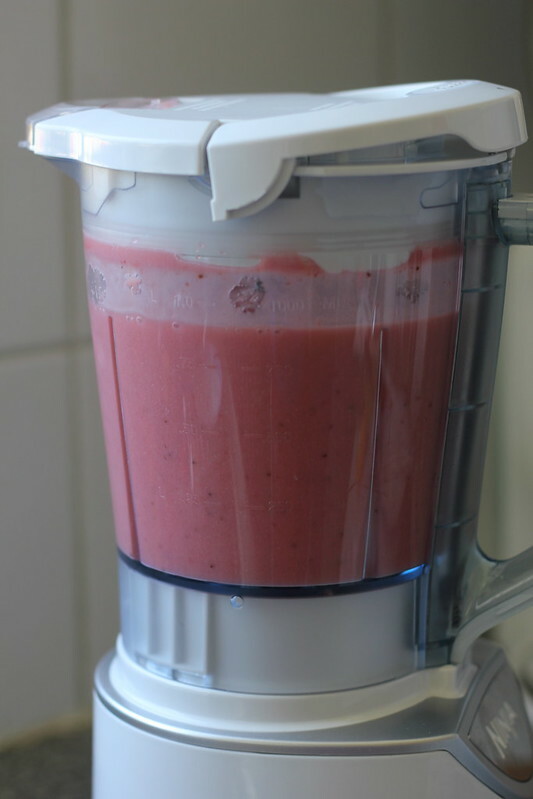 It is not too difficult a job to blend, so even a cheap blender should do the trick. Blend until creamy and a pale pink. 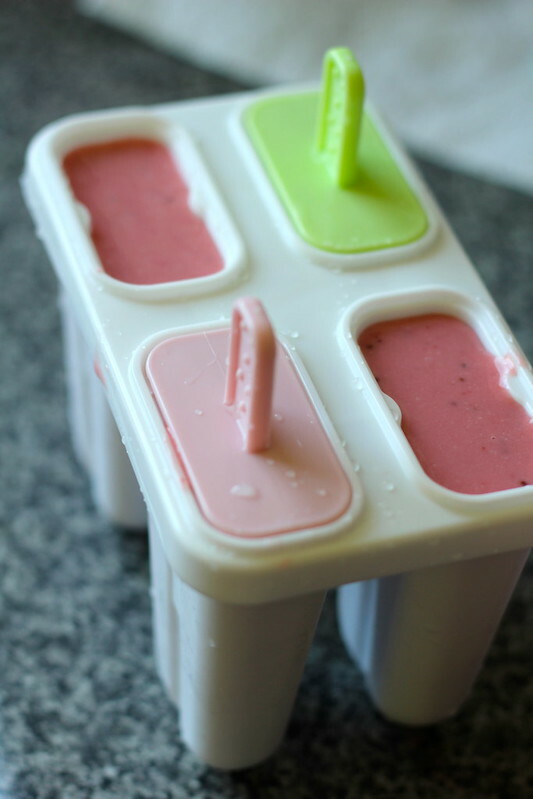 Pour into popsicle moulds and freeze for about 2 hours or until frozen solid. 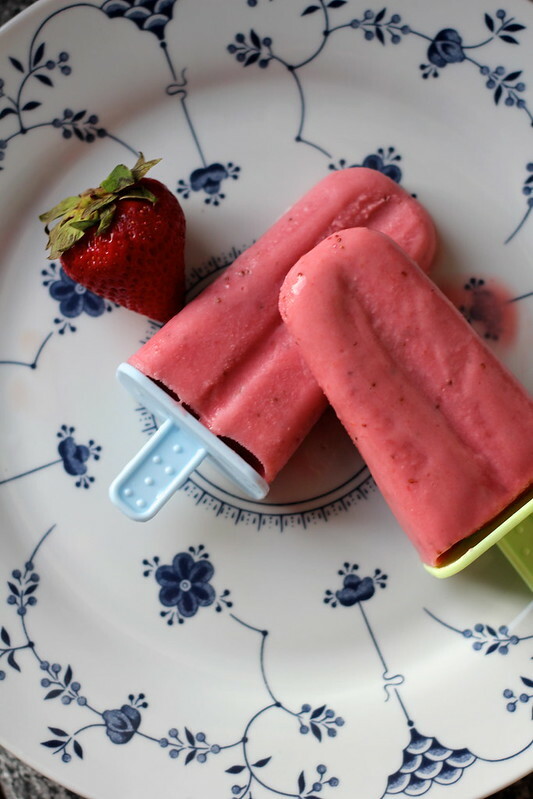 To release from the popsicle moulds, run the moulds under hot water to help loosen the strawberry pops. Serve and enjoy! Hope you are all surviving the heat and having a super lovely week! I cannot believe how soon it is until Christmas. Every year it seems impossibly far away, until it creeps up until BAM, it is sneakily right around the corner and you’re left with no gifts, no organisation, nothing in the cupboard and a large dose of panic. Fortunately this year I actually strapped my Christmas boots on months in advance and absolutely vowed to myself I would be organised in order to avoid this all too familiar scenario. It mostly worked; with the assistance of budget spreadsheets on google drive, ringing relatives early and demanding to know what they wanted for Christmas and of course, making thousands of lists of gift ideas, what to buy and when. Of course, that never means that you remember everything – leaving last minute trips to the horrifyingly busy shops and queues a yearly reality for that last minute gift so nobody will miss out, but ya gotta do what ya gotta do, I guess! Another thing that’s crept on me recently – this month’s Sweet Adventure’s Blog Hop, hosted by the lovely Christina from the Hungry Australian. This month’s theme is “Sweets for Santa”. 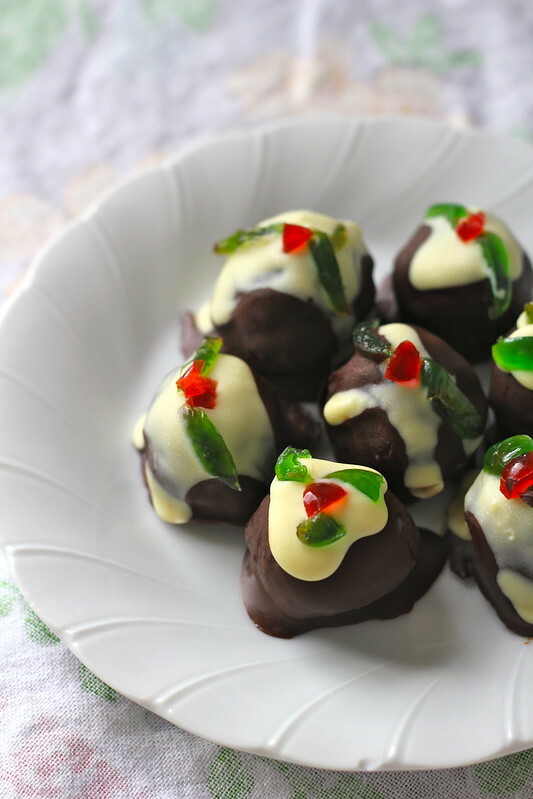 For those who are new to the SABH concept, its a monthly dessert themed blog hop hosted by 84th & 3rd, The Capers of the Kitchen Crusader, Delicieux, Dining with a Stud and The Hungry Australian. Bloggers participate by creating a dessert according to that month’s theme and post about it and read about other bloggers’ themed desserts – a great way to connect with other bloggers and share yummy and creative recipes! 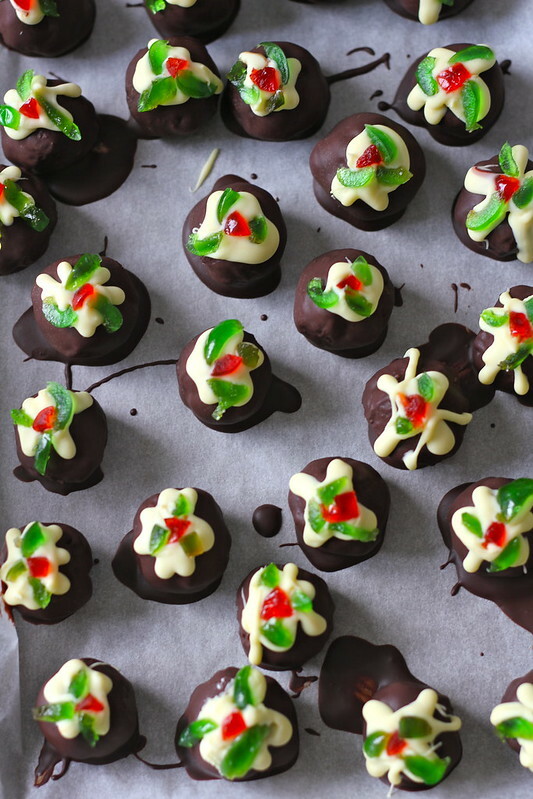 I had been meaning to pop my Christmas hat on for some time but the weeks got away from me and finally I had the time to make a batch of these Christmas truffles. 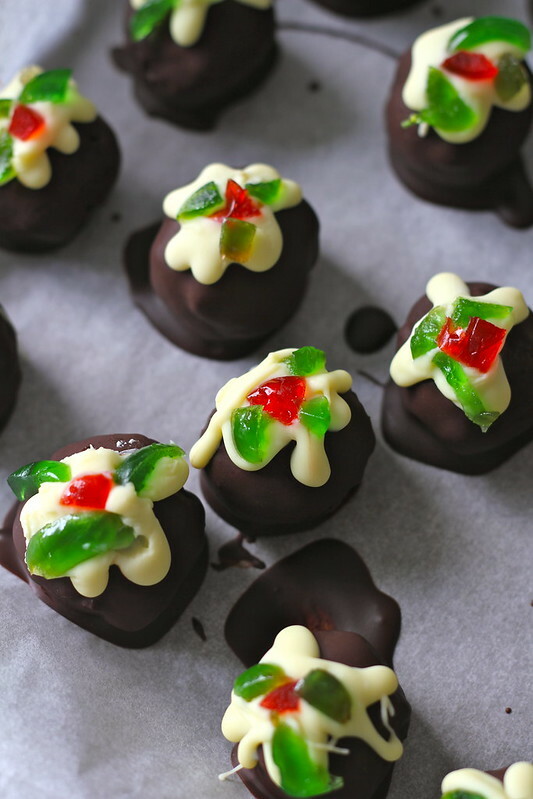 These pudding truffles are basically a Christmassy version of a cake pop (minus the lolly pop stick) – you simply crumble fruit cake, mix in melted chocolate, shape into truffle sized balls, dip into more melted chocolate and decorate. You can also add a splash (or more!) of alcohol for an adult-version if you are so inclined, but this version is great for kids as well. If you’re also struggling to come up with ideas for what to bring to a Christmas ‘do this year, turn up with a plate of these and you’ll be the star of the party! 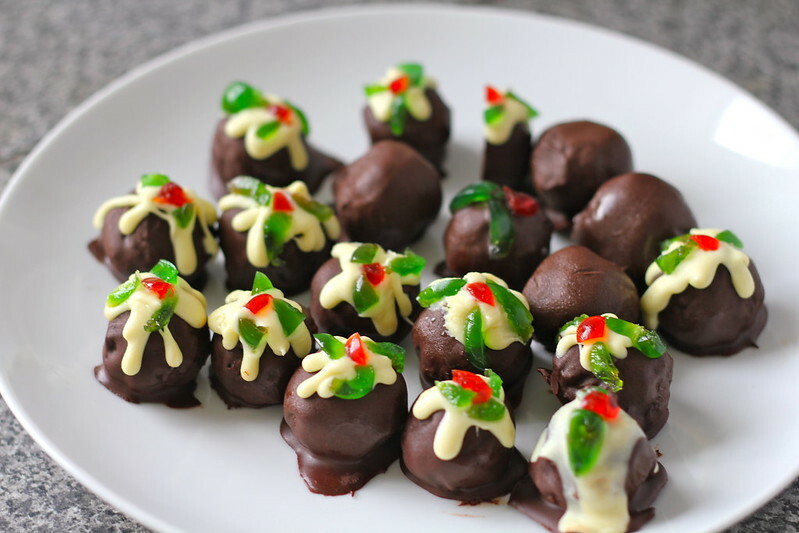 While it is time consuming forming all of the truffles and decorating with the cherries, these are very simple to put together. You could use it as a fun project you could make you with your kids and really, it does require very few ingredients – just pre-bought christmas cake, a lot of chocolate, a little coconut oil (if you don’t have this, you could of course substitute with another flavourless vegetable oil, e.g. soybean, etc*) and a few glacé cherries, I mean hey, it wouldn’t be Cooking Crusade if it weren’t ridiculously simple! *please note that oils such as olive, peanut or sesame would not be suitable oils to substitute for coconut as they are quite strongly flavoured. the coconut oil has quite a mild flavour and is not really noticeable in this recipe. Occasionally I’ll go a little bit camera-nuts and decide I want to take in depth photos step by step of how to make a particular recipe, and this is one of those times! So just a warning, this post is pretty pic heavy! So, lets get down to truffling! 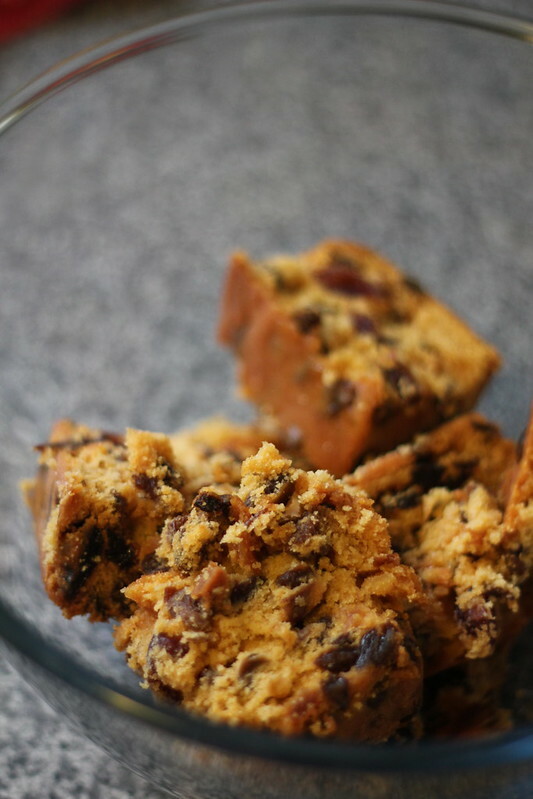 To start, you will need light fruit cake, 2x bars good quality dark chocolate, 1 x bar white chocolate, some glace cherries and some coconut oil. 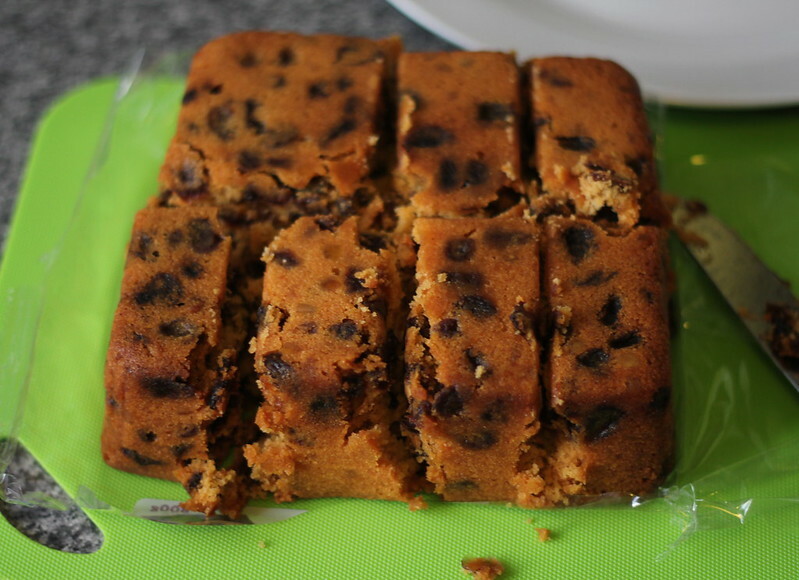 To start, roughly chop your fruit cake to make it easier to mash up. I bought an 800 gram packet, but only wanted 600 grams, so chopped it into 8 equal pieces and only used six of them. Meanwhile, break up your first bar of dark chocolate to melt (I used 10 sec bursts in the microwave). 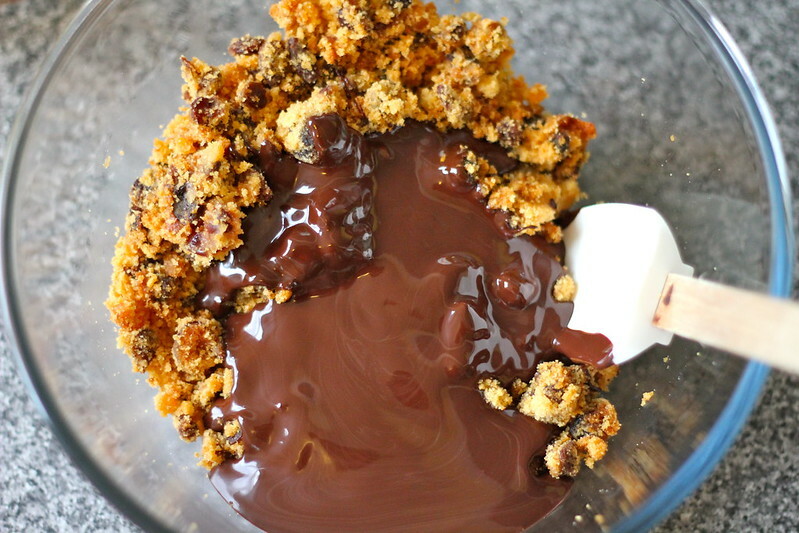 Pour melted chocolate into cake mixture. Incorporate until the mixture resembles (this is hardly poetic, but) soil. 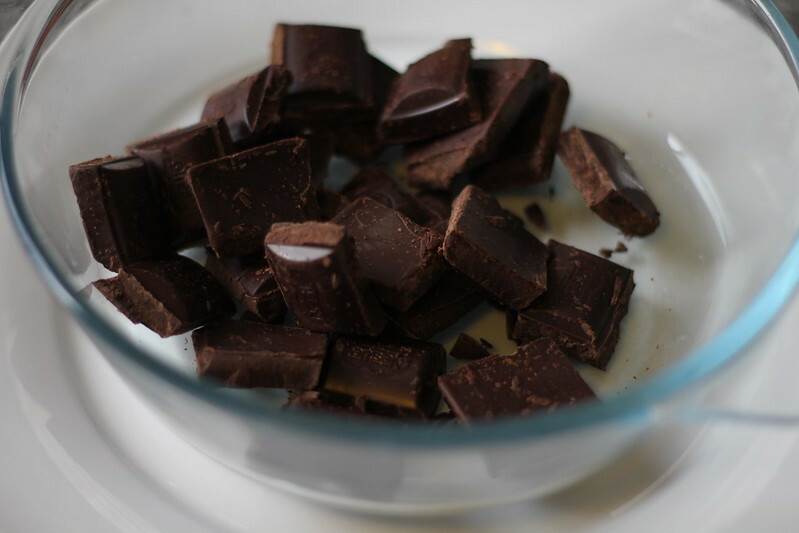 Start melting your second batch of dark chocolate and add a teaspoon of coconut oil. Using a teaspoon, scoop out one spoonful of the mixture and rolling between your hands, form small balls and place on a baking tray lined with baking paper. If time allows, plunk it into the fridge to set for about an hour. But if you’re like me, proceed and hopefully everything will be fine! Ready for dunking? This is the fun part! 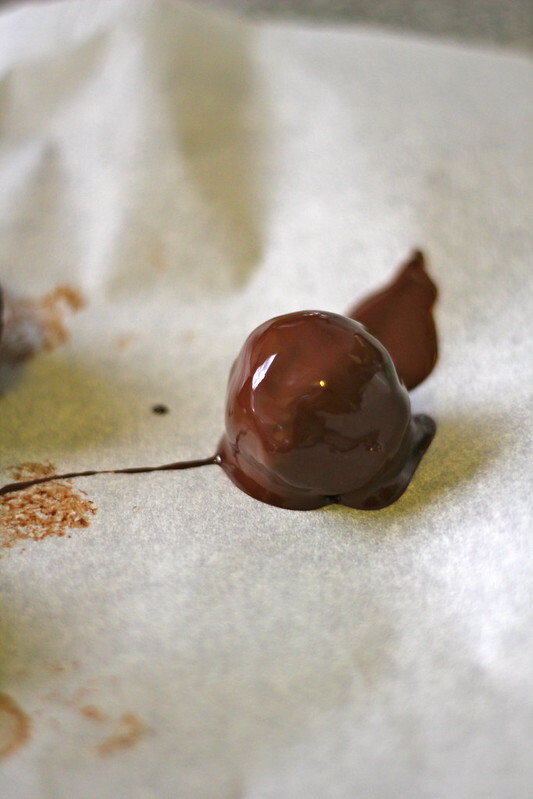 Roll your truffles in the melted chocolate. Until you have many shiny chocolatey truffly balls of goodness. By the way – if you wanted to set these now and serve them as is if you don’t have time to decorate, these would be great as is and still taste pretty much the same with the additional decorating. But if you want things to be slightly prettier and more Christmassy, soldier on! 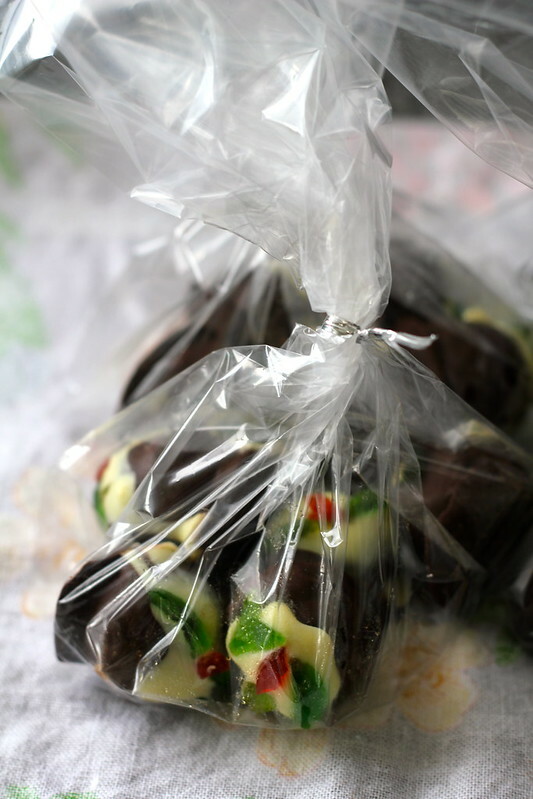 Now pop these little chocolate goodies into the fridge to set. While those are setting, prepare your decorations. I used 100 grams of white chocolate (about 4 bars of a Cadbury Dream family size bar). You could melt this separately in a bowl and then pour into your chosen piping bag / bottle / ziplock bag if you prefer, but I found it easier to simply just pop the chocolate into the piping bottle and melt it directly in there in the microwave. I added a teaspoon of coconut oil to this too to thin it a little for piping. Slice your glacé cherries all ready for decorating. 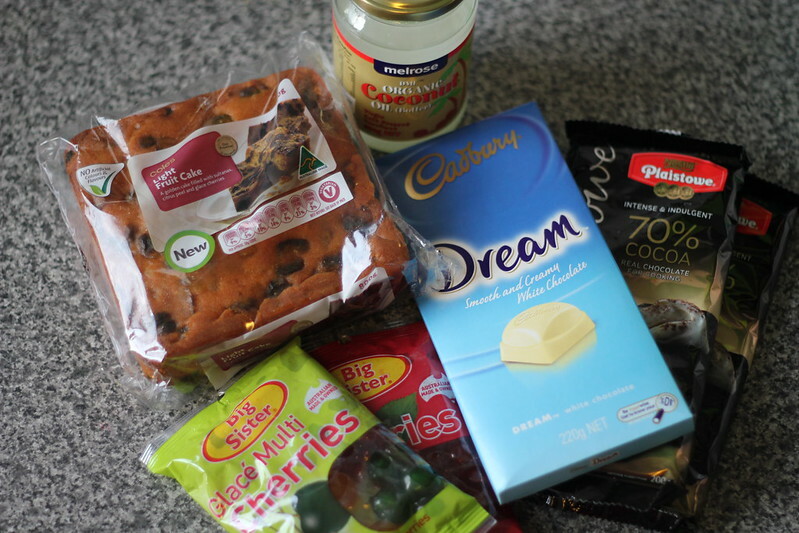 I bought these from Coles in the baking aisle. 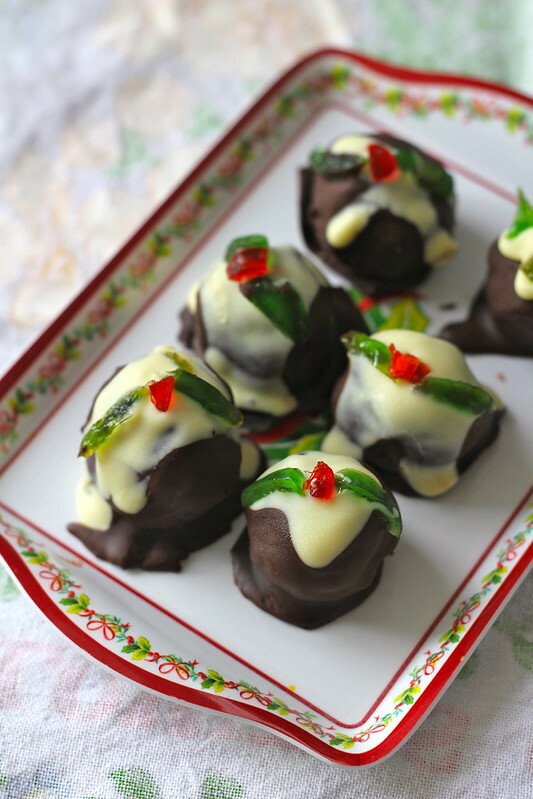 Slice your glacé cherries thinly – the idea is that the truffles look like mini Christmas puddings with custard (the white chocolate) and holly leaves (the glacé cherries). 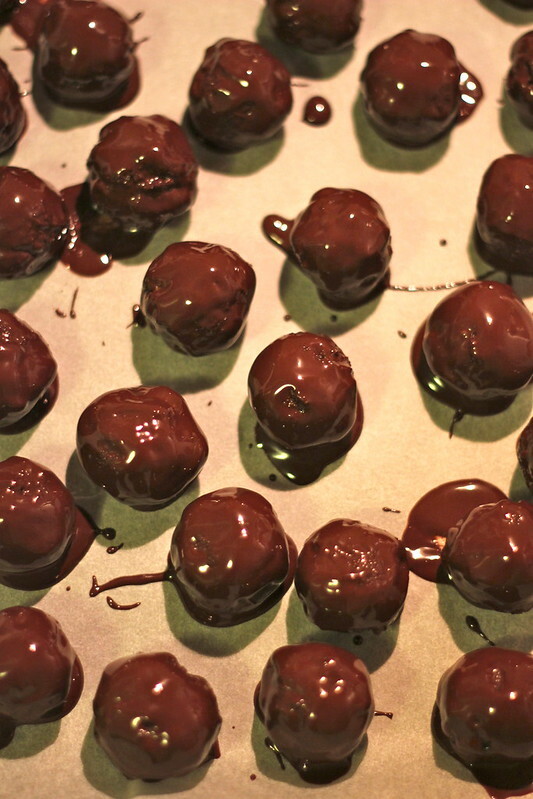 Pipe the melted white chocolate onto the tops of the truffles and arrange glacé cherries on top while the chocolate is still liquid, to ‘glue’ them on top. And that’s pretty much it! Return to the fridge to finish setting the chocolate and you’re done! A plate of goodies to take to my next Christmas party! These are also great to wrap up and give as gifts over this Christmas season. Large mixing bowl, masher (or fork), small glass bowl (enough to hold chocolate), 1 piping bottle (or a ziplock bag will do in a pinch), sharp knife and cutting board, baking tray lined with grease proof paper. 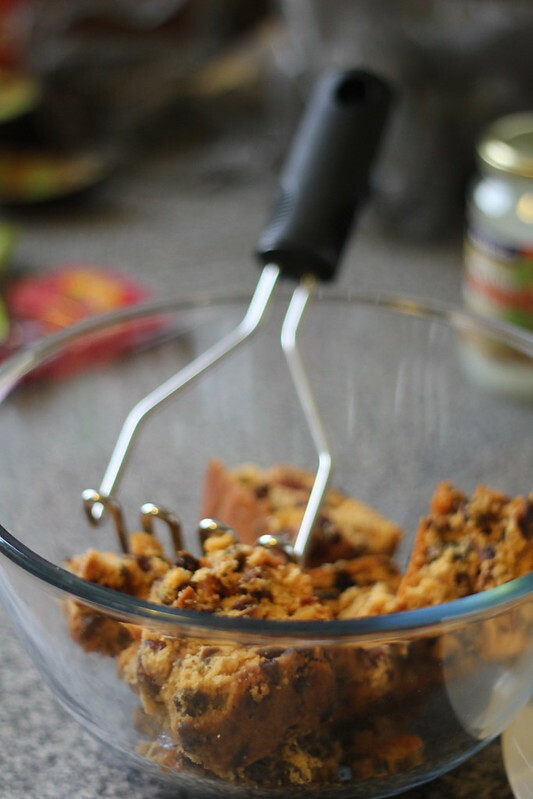 Place fruit cake in a large mixing bowl. Mash the heck out of it using a potato masher, or even a fork will do in a pinch. You could use a food processor if you wanted this crazily smooth, but I don’t mind a bit of texture to it, and honestly I think the masher/fork does a pretty good job most of the way. 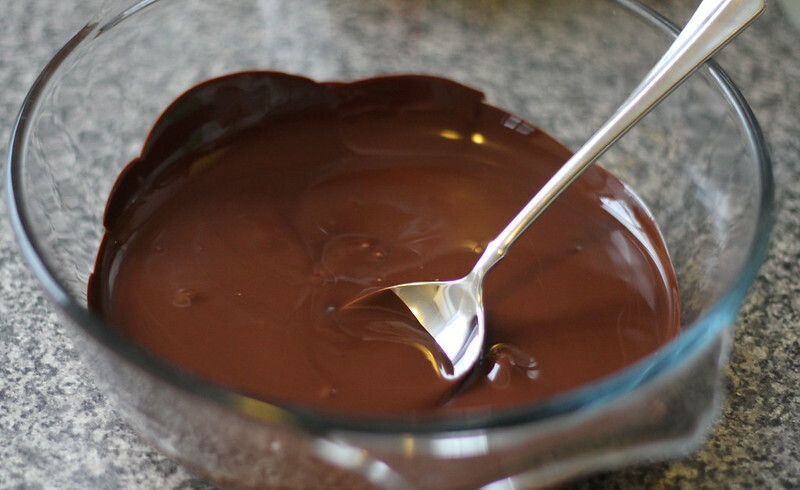 Melt 200 grams dark chocolate in a smaller bowl (I usually microwave it in 10 second bursts until completely melted). 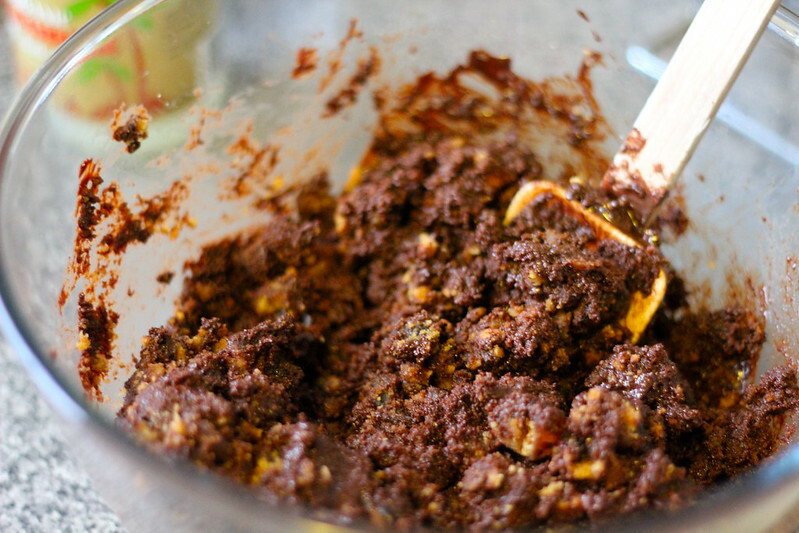 Pour melted chocolate into the mashed up fruit cake. 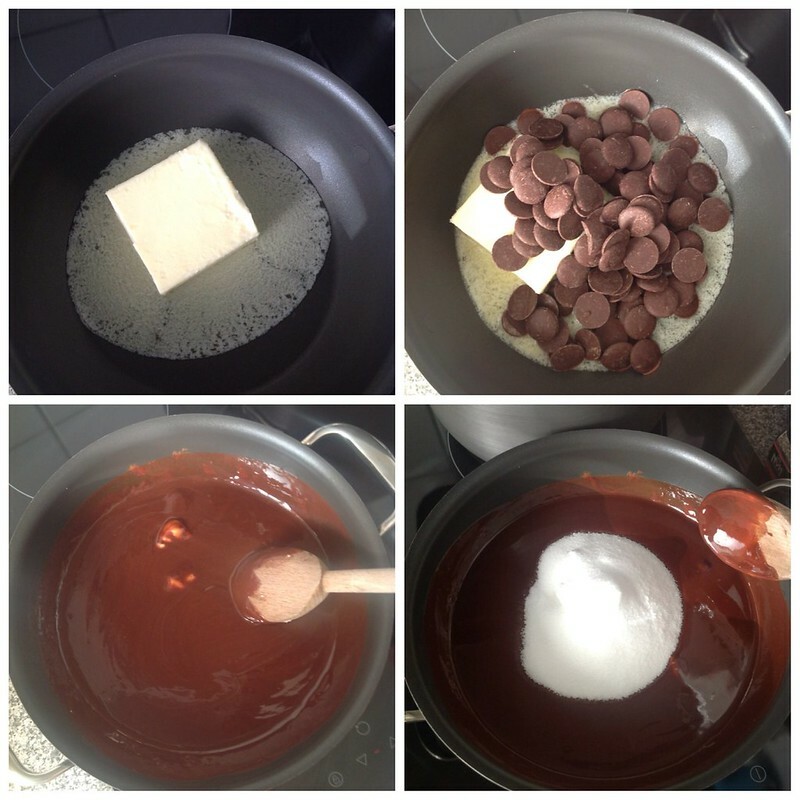 Fold chocolate and cake together until the chocolate is fully incorporated into the cake. The mix should have a fairly uniform colour. 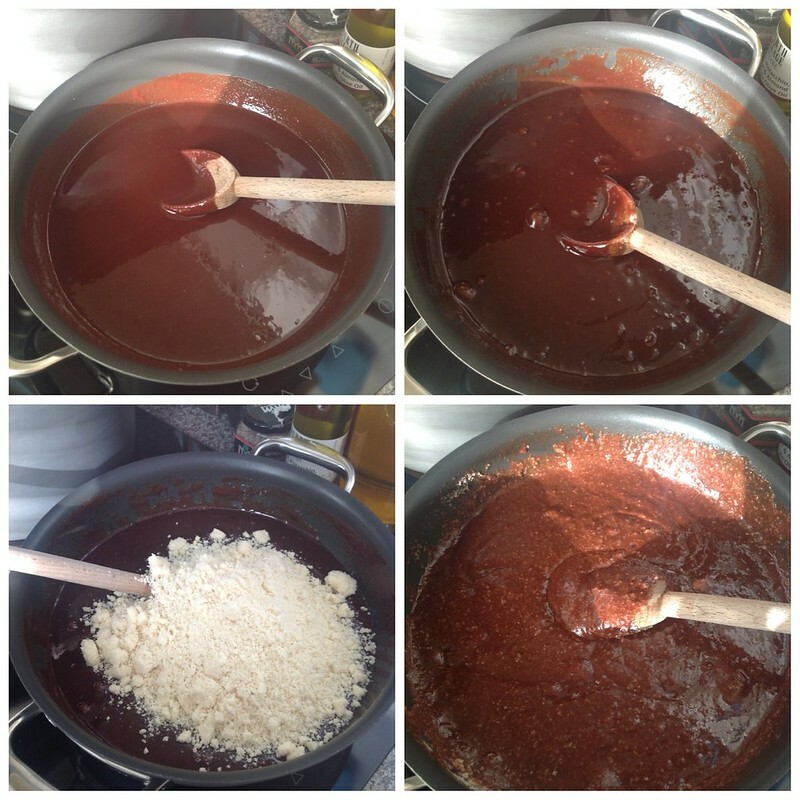 Using a teaspoon, scoop up the chocolate cake mixture and roll between the palms of your hands until you have small balls. Place on a lined baking tray until you have used all the chocolate/cake mixture. Place in the fridge to set. 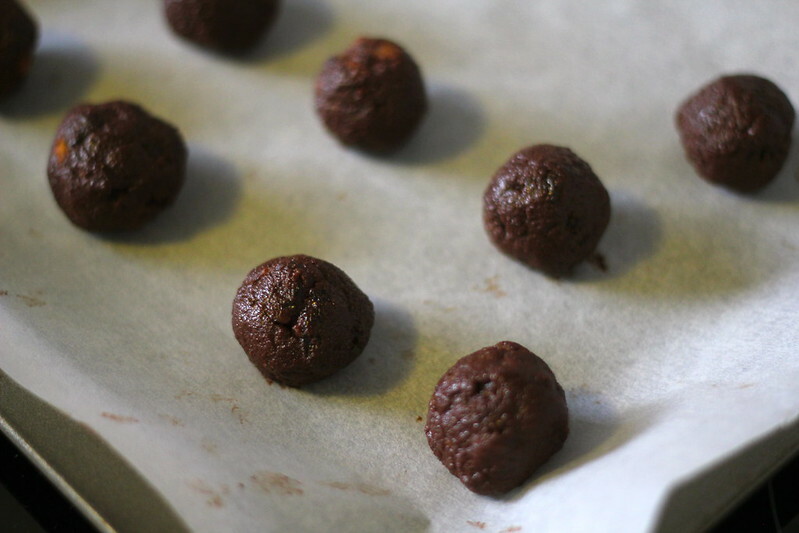 (*Note: if you are an impatient lady like me, you can skip this step, but this will probably keep the balls from falling apart in the melted chocolate – not that I had massive issues with this, but it would probably make them handle a bit better). 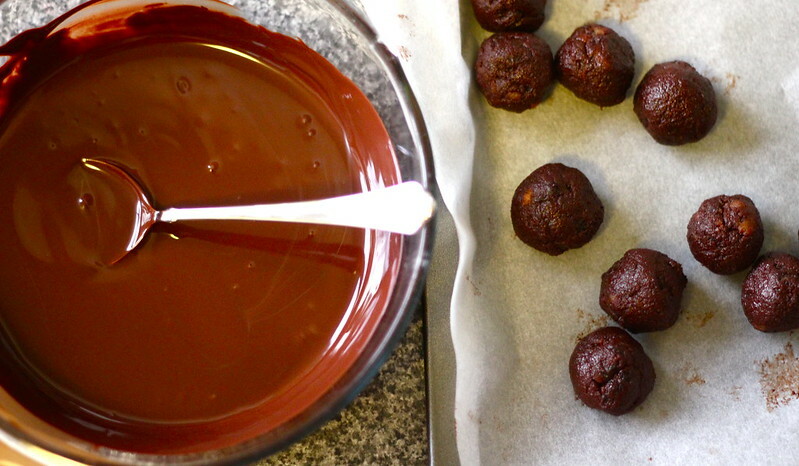 Prepare your second batch of chocolate for the truffle coating. Break up the bar of chocolate and place in the same bowl you used for chocolate melting previously (hey, save on washing up why not?) 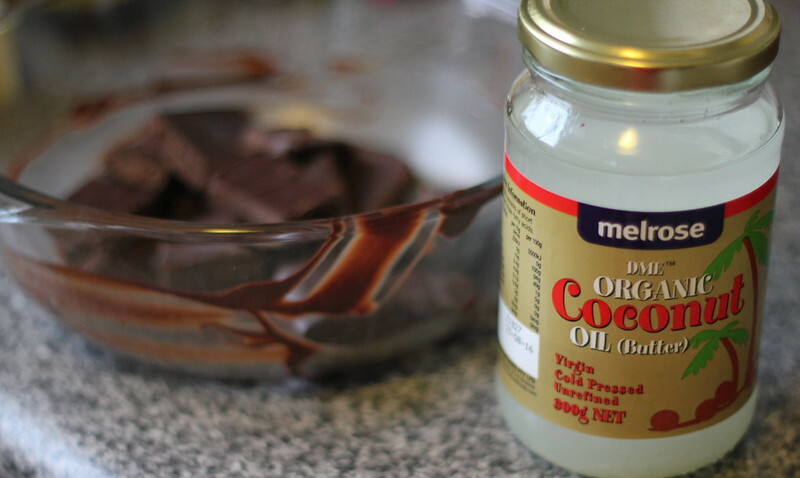 Add a teaspoon of coconut oil and melt the same way you did before (10 sec bursts in the microwave) or your fave choccy melting method. 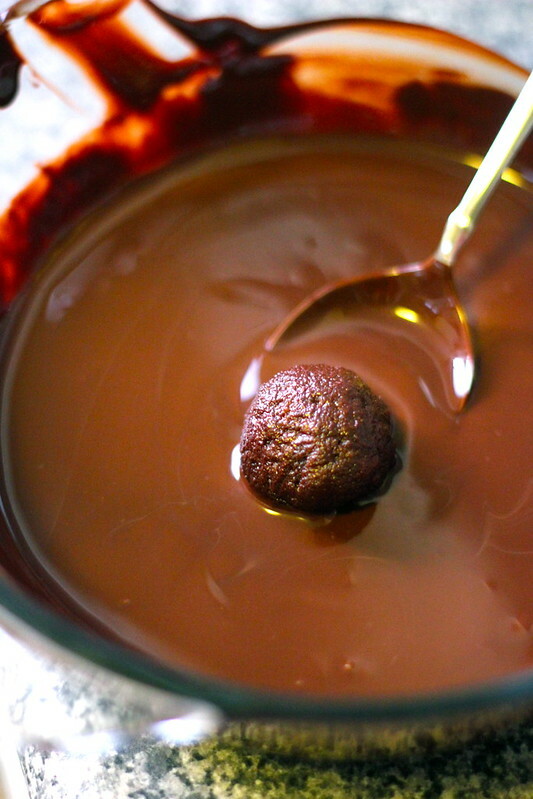 Remove truffles from the fridge and dip into melted chocolate. Roll in the melted chocolate using a spoon, remove and drizzle excess chocolate off truffle (as much as possible) and return to baking tray. Repeat until all truffles are coated. 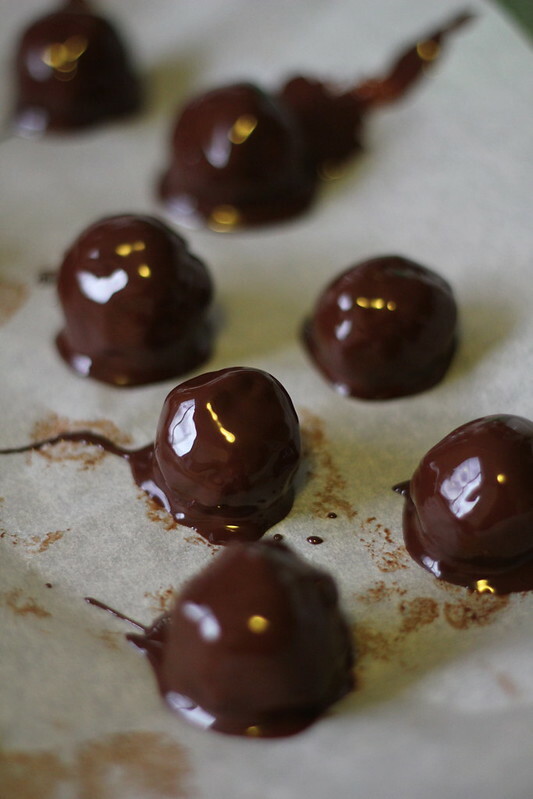 I found that the 200g of chocolate was the perfect amount to coat the 40 truffles I got out of this recipe. Return truffles to the fridge to set again. 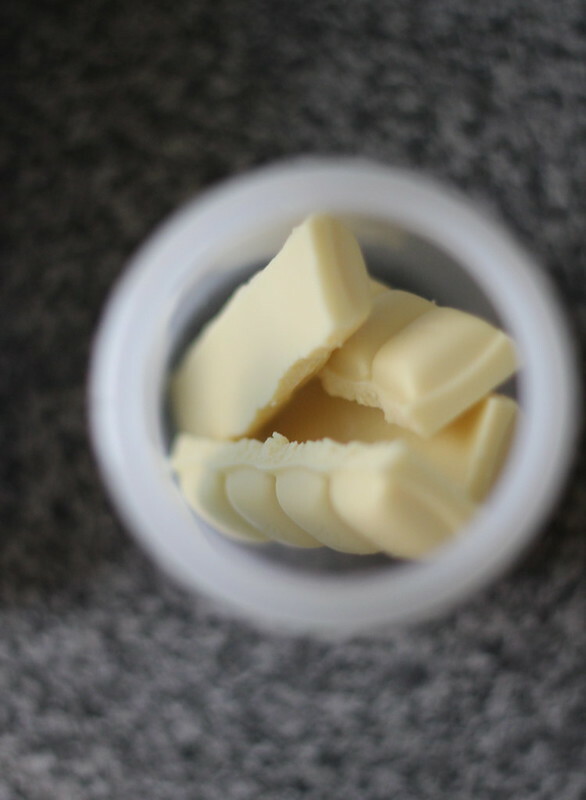 Place 100 grams white chocolate into your piping bottle and microwave until completely melted. Add coconut oil and stir to combine. 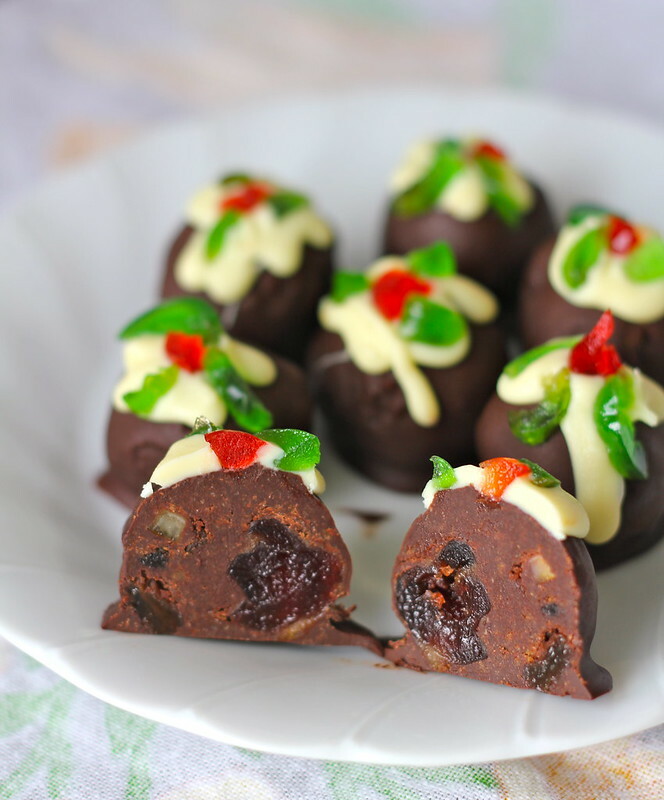 Pipe white chocolate onto your set truffles and add chopped glacé cherries to decorate to look like mini Christmas puddings. 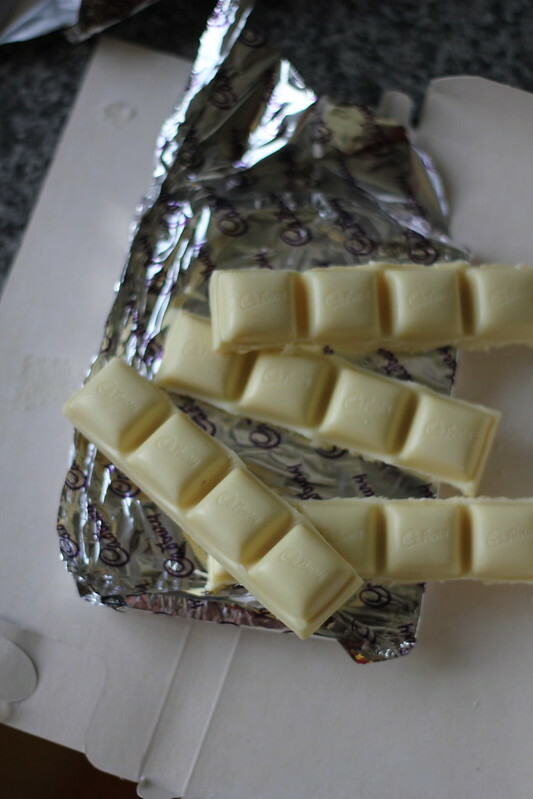 Set the white chocolate in the fridge. Best served at room temperature and great to give as gifts! I do hope you all have absolutely lovely plans for Christmas! I’m hosting a small Christmassy get together this Sunday (my first one, truth be told. I’m rather excited!) Then the usual family get togethers with my and my partner’s families over Christmas and Boxing Day with the usual food and gift frenzy! I’ve also booked movie tickets in advance to see Les Mis on Boxing Day night – it looks amazing and I can’t wait! A week or so off work will also be very greatly appreciated and hopefully I will spend a great deal of the time sleeping and lazily eating. Heaven! Much love and have an absolutely amazing Chrissy! !